The most unforgettable Aussie road trip awaits! Australia has long been synonymous with road trips. Think long stretches of wide open roads with amazing scenery along the way! 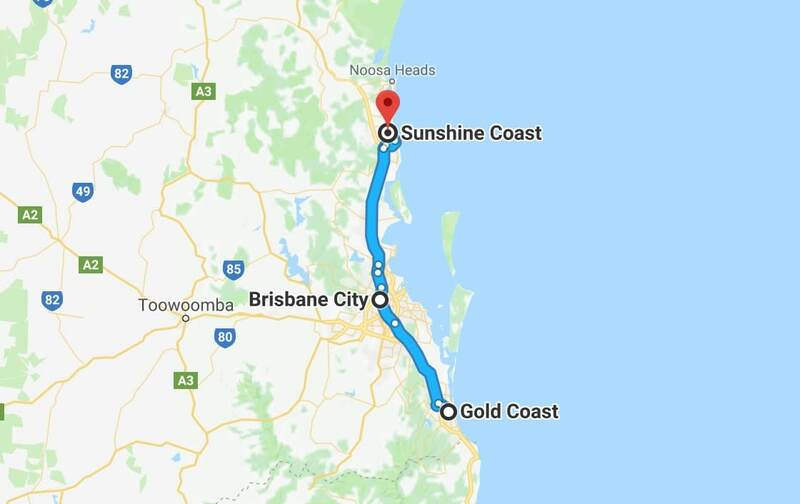 The 240 km stretch of road that connects Gold Coast, Brisbane and Sunshine Coast offers arguably the most stunning coastal scenery in Australia! 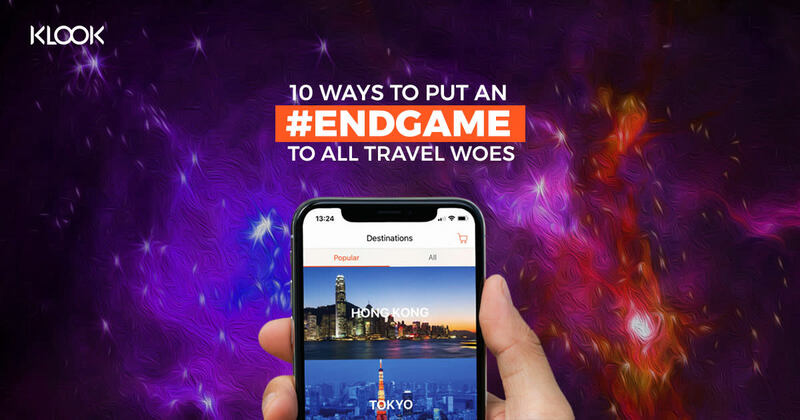 All you need is your license and a set of wheels to set out on the most memorable road trip experience (A solid road trip playlist would certainly help amp up the mood!). 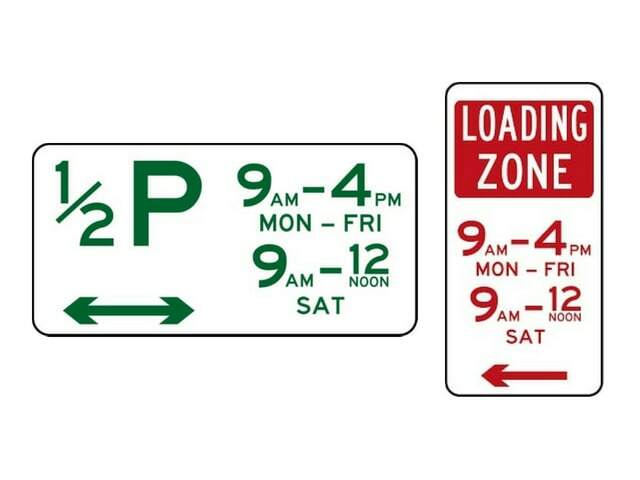 New to planning road trips? 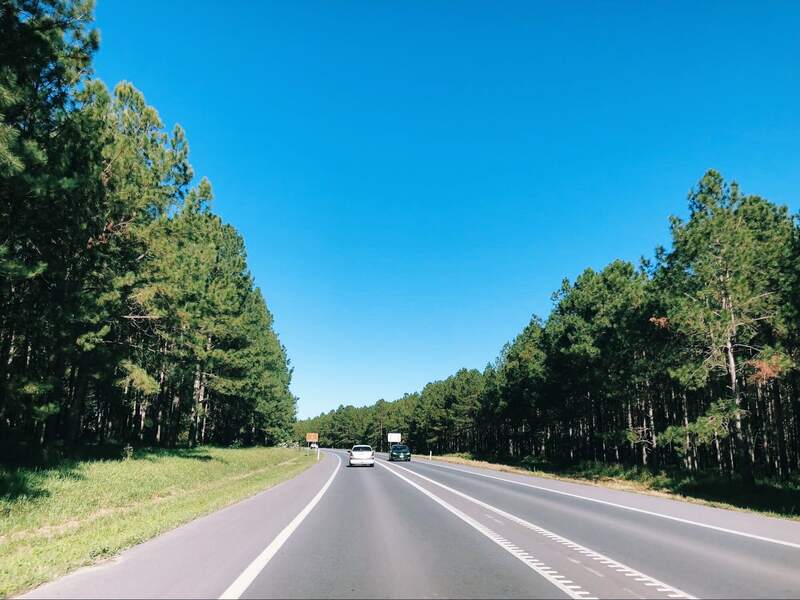 Read on to find the most extensive guide, covering everything you need to know from A-Z about having a road trip in Queensland, Australia. 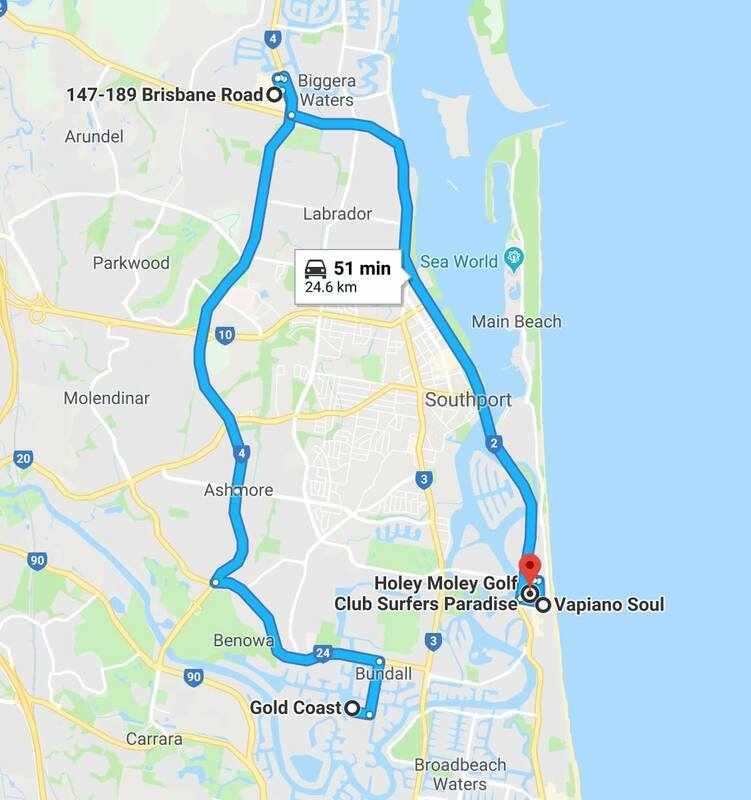 Self-drive is the most convenient way to get around in Queensland, especially if you’re planning to venture beyond the city. Brisbane does have an extensive network of buses that extend all the way to the Sunshine Coast, but the schedule is erratic at best. To fully maximize your time in Queensland, renting a car is definitely the way to go. 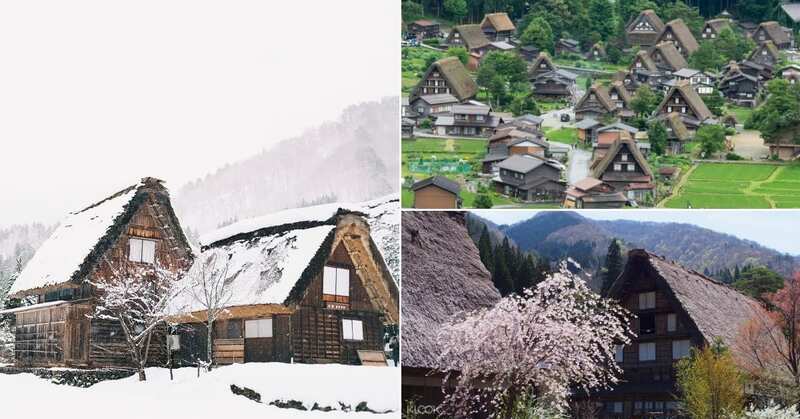 Having internet is also especially important when mapping out routes (and uploading those Insta-worthy shots along the way). 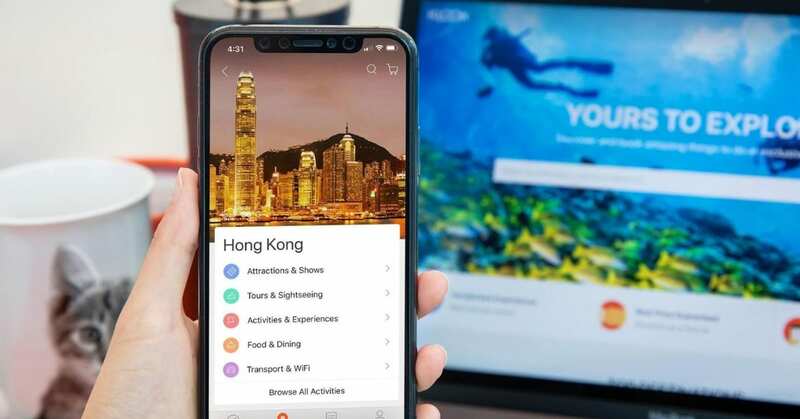 Pick up your WiFi device from Klook before your trip for connection to five devices at any one time. Play it safe and book your car prior to your trip (at least 2 weeks prior if possible, to capture lower prices for car rental). 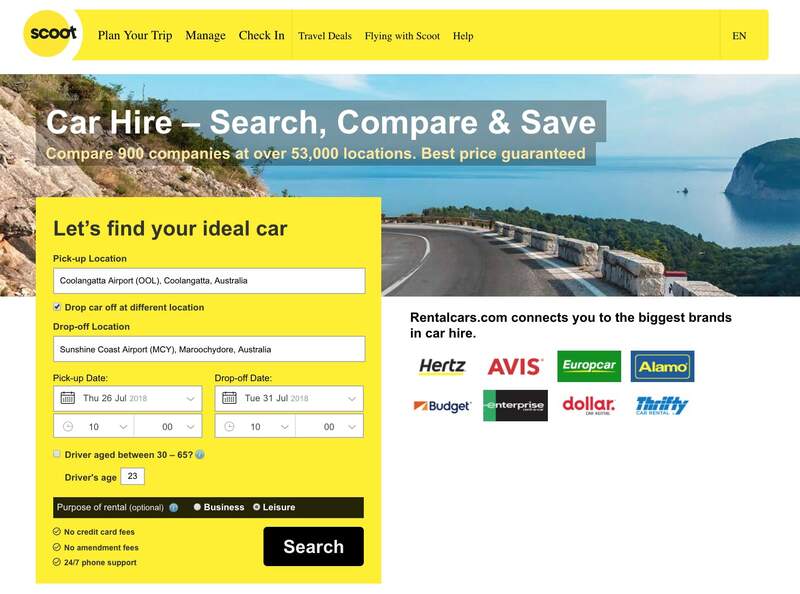 Scoot Car Hire provides you with all the information you need to make a successful car rental booking! 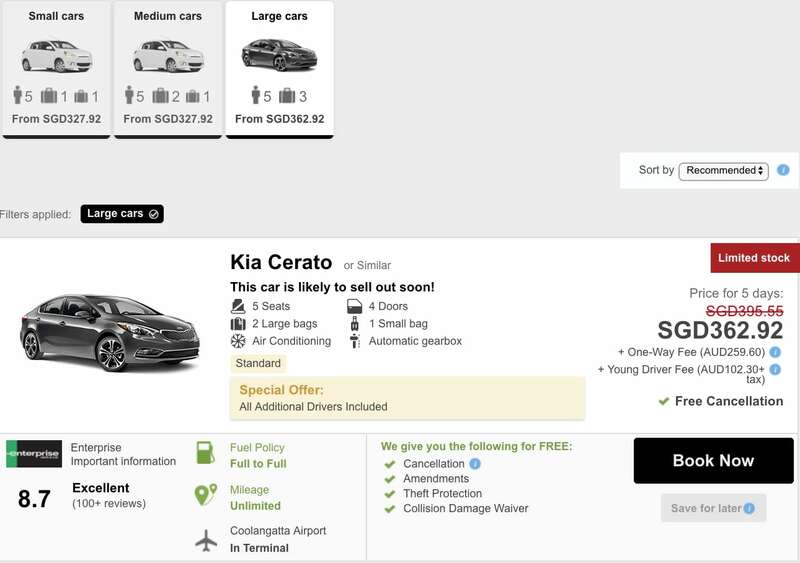 After keying in the information required in the home page (as seen in the image above), the site automatically generates all the cars that are available from the different car rental companies. 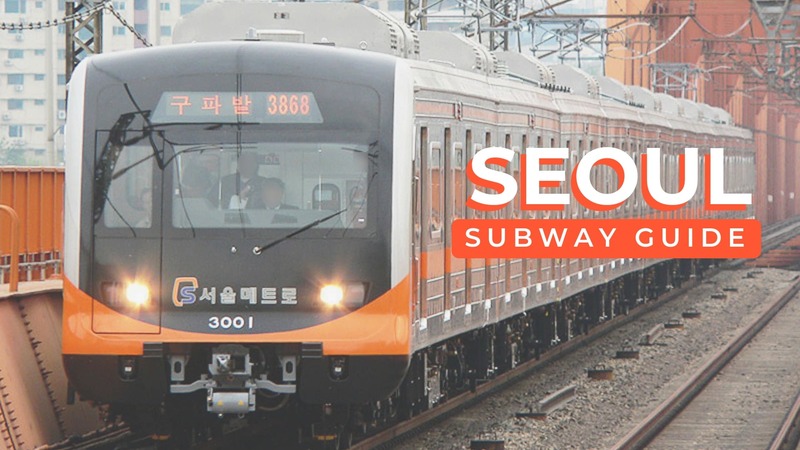 Klook Travel Tip: For greater convenience, opt for a rental company that allows you to pick up the rental car at the airport itself! We can’t emphasise this enough, but always get car insurance whenever you’re renting a car! While Scoot Car Hire offers rental car insurance options, RentalCover.com provides the most affordable insurance prices in the market. 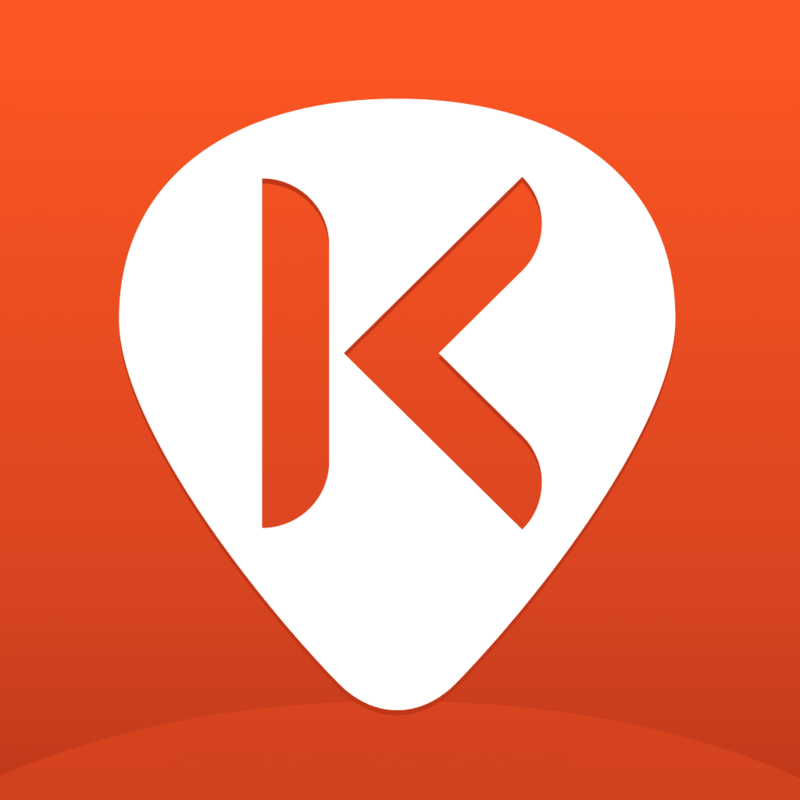 Simply key in the destination and date of travel to get an instant quote. If you do encounter a problem with the car, you’ll be glad to have bought the insurance and didn’t rely on hope to keep you financially fit. 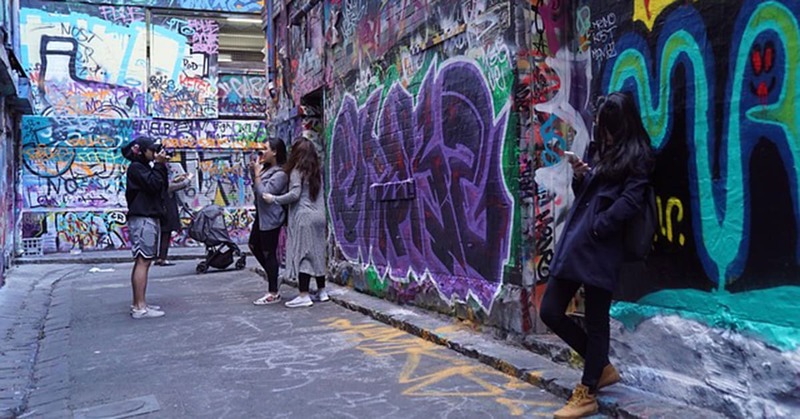 As a rule, rental car drivers between the age of 21 – 24 will have to pay an additional fee called the “young driver fee”. This amount is the cost of additional insurance to cover the added risks of having more inexperienced drivers on the road. The payment of the fee will be done at the rental point itself when you’re collecting your car at the counter in the airport! The comparative table between car rental companies below shows how much you will have to pay per day in addition to the basic price of car rental. 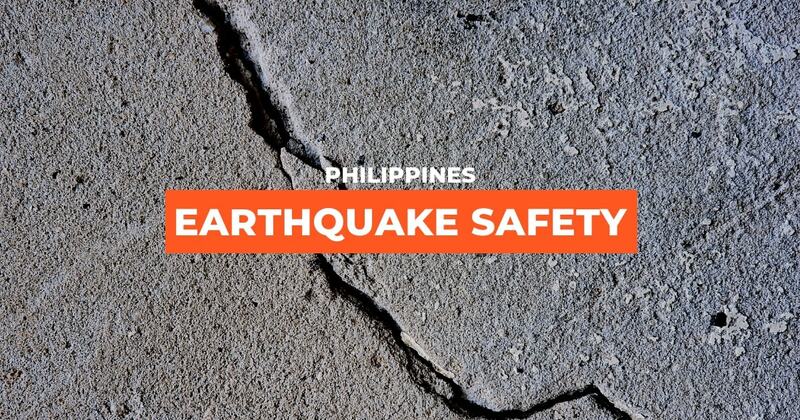 Be prepared for long hours of driving especially when driving from city to city. 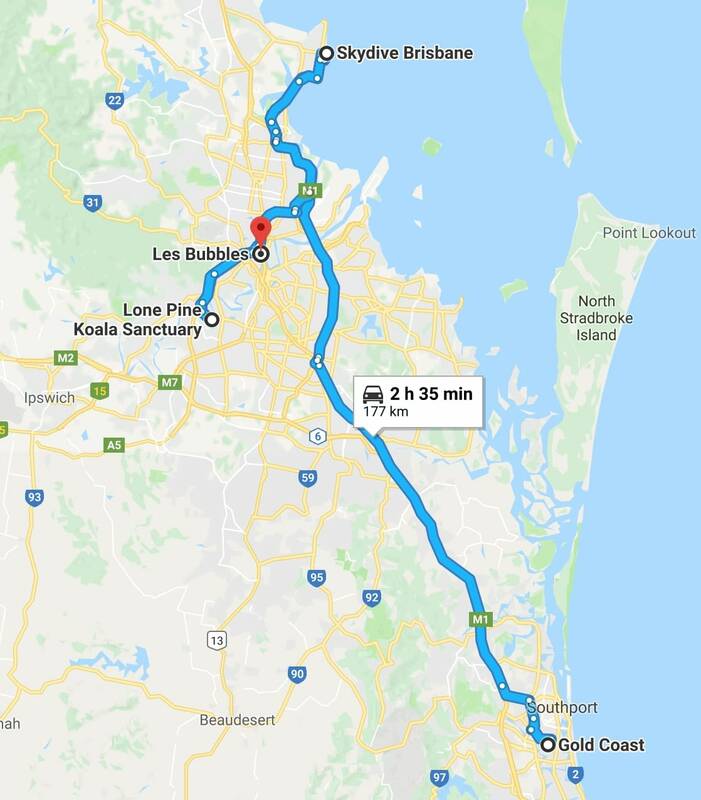 While Gold Coast, Brisbane and Sunshine Coast are relatively nearby (approximately 1-2 hours away from each other), you will still need your road trip necessities to keep you fuelled and awake for the ride! 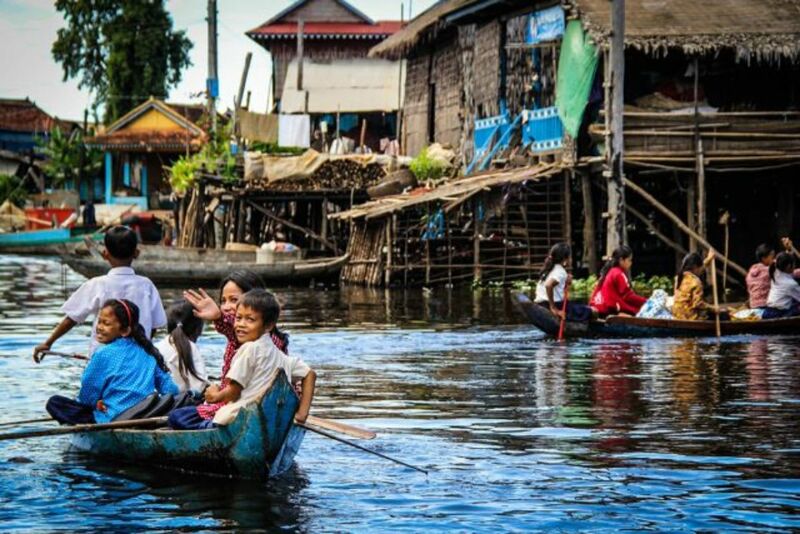 Klook Travel Tip: Supermarkets like Coles and Woolworths should have everything you need. You may also wish to prepare a packed meal to save time. 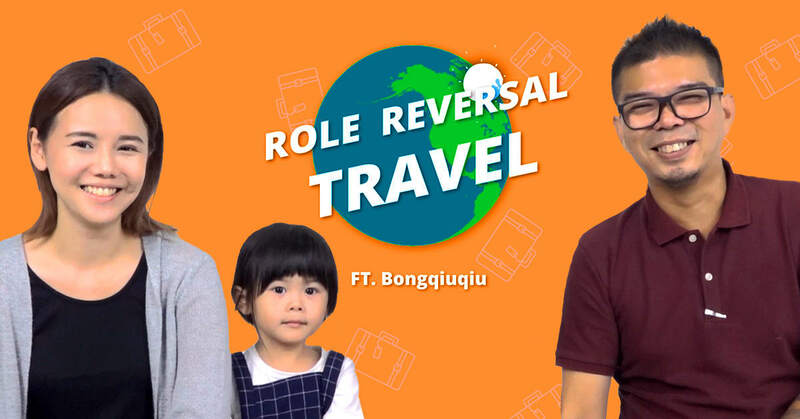 Now that we’ve covered all the basics, it’s time to get down to the exciting part! So fasten your seatbelts, shuffle your favourite playlist and settle back as we take you on a journey through South East Queensland. 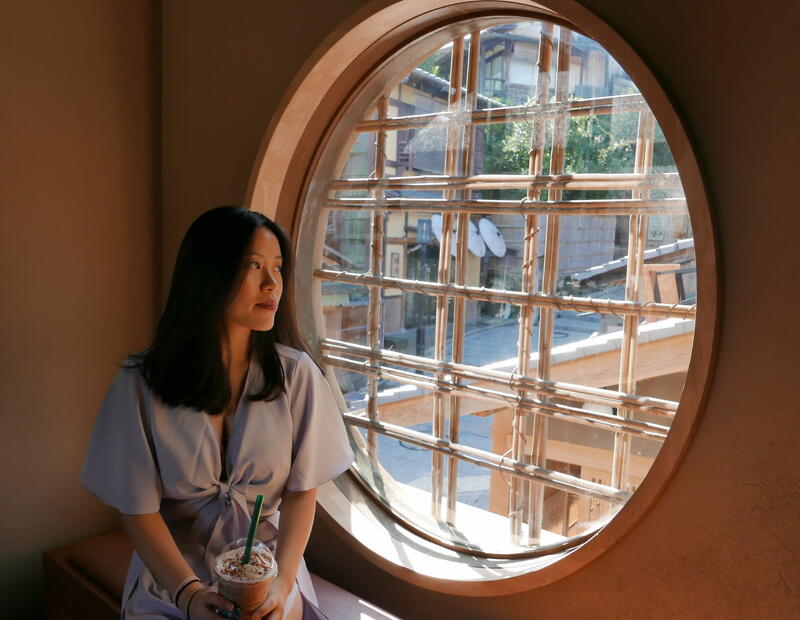 Note: Most will choose to stay in different places on a road trip, but the Klook Team stayed in Gold Coast and did day trips to Brisbane and the Sunshine Coast. 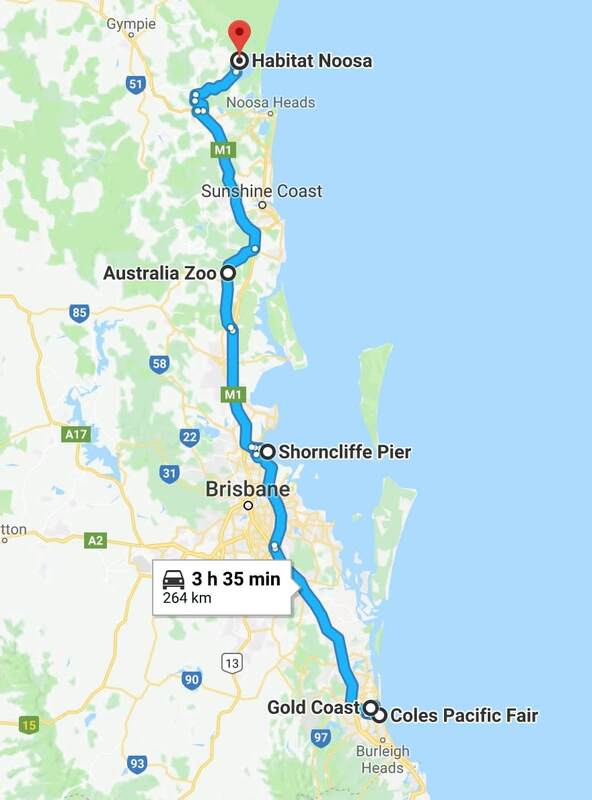 It’s perfectly possible to set up base in one city and explore the other parts of Queensland through separate day trips! 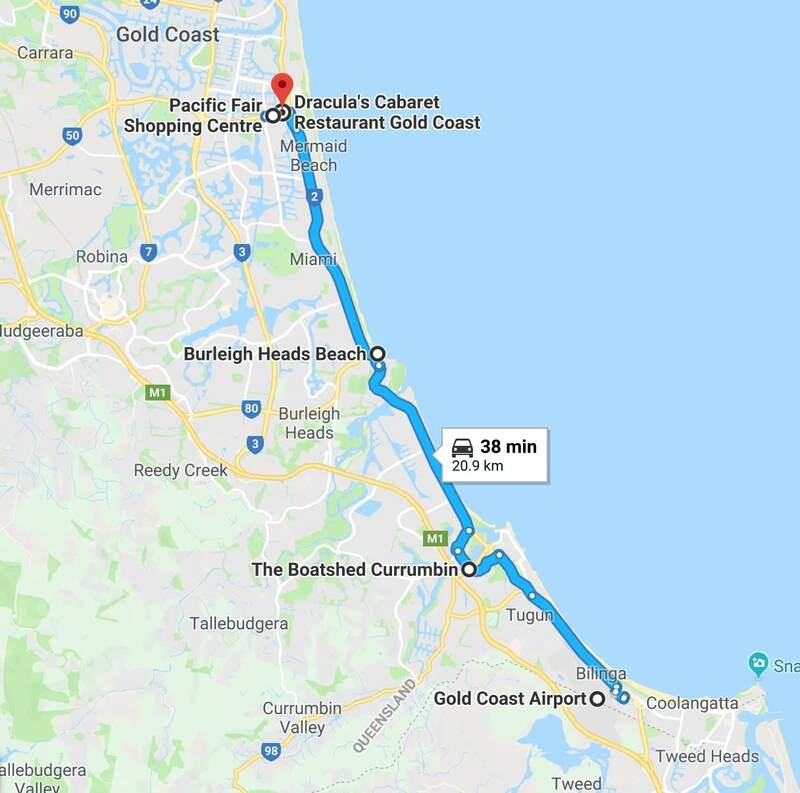 Located just a 10-minute drive away from the airport, make The Boatshed Currumbin your first stop to replenish yourselves after the long flight to Gold Coast! Don’t be fooled by the cafe’s unassuming exterior, inside lies one of the most beautiful cafes that we’ve been to in Queensland. 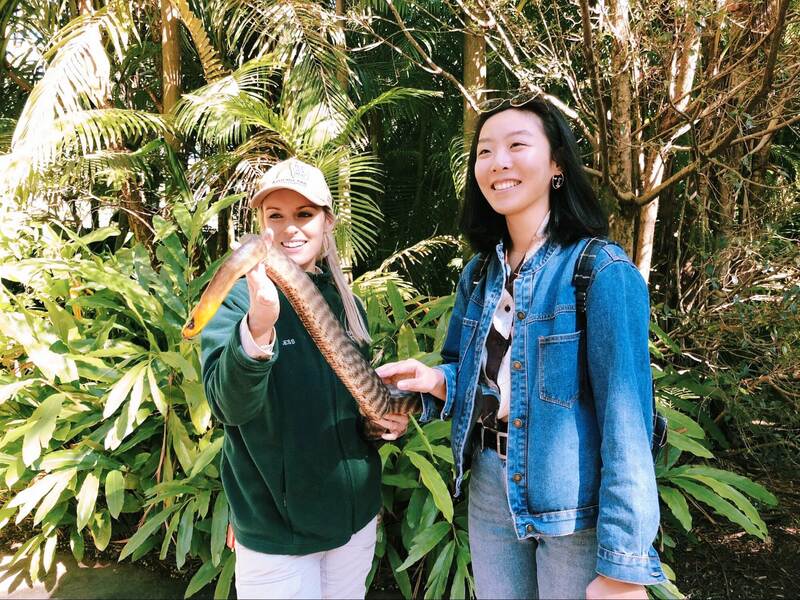 Situated next to the Currumbin Creek, the cafe opens up to the creek and you get to enjoy your brunch with a scenic view of the river. 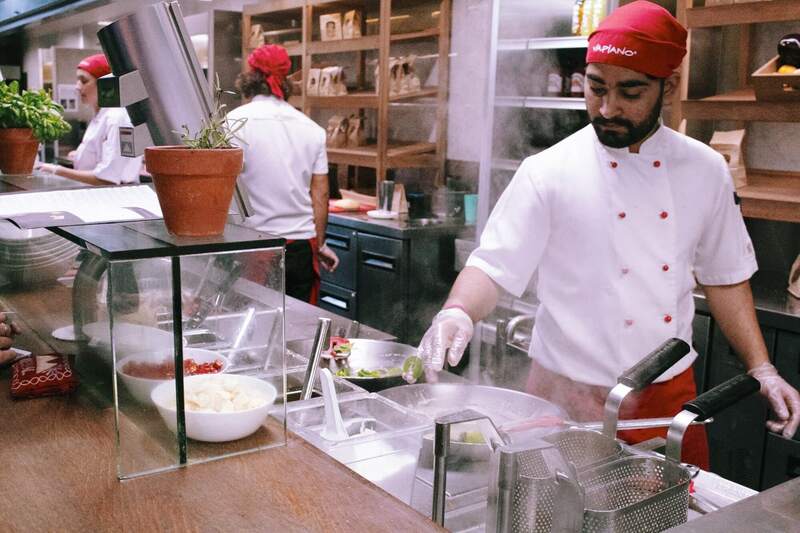 The cafe offers a variety of brunch food as well as lunch mains for you to choose from. 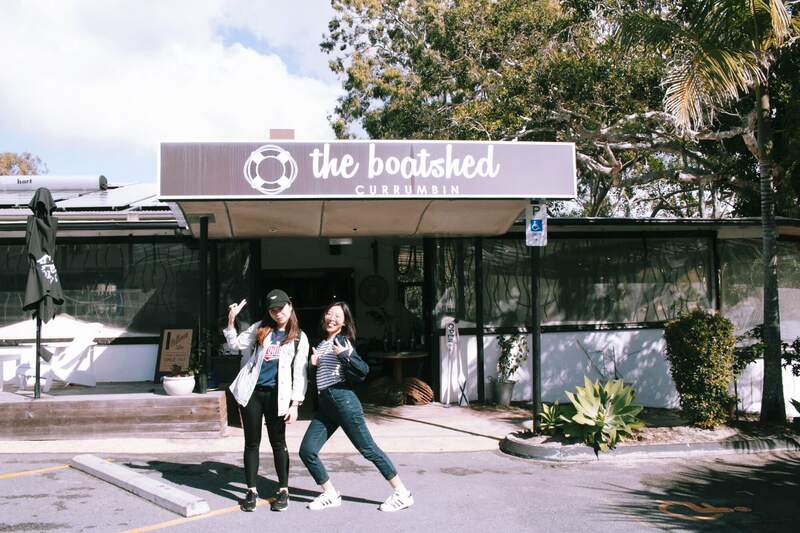 We ordered their specialty The Boatshed Breakfast (AUD 22, ~SGD 22.30), Boatshed Brisket Benedict (AUD 17, ~SGD 17.20) and the Beer Battered Fish & Chips (AUD 22, ~SGD 22.30). Out of the dishes, we liked The Boatshed Breakfast best for the sheer variety of delicious food they had on the plate. The huge portion size was also a bonus – one meal was good enough for two people! 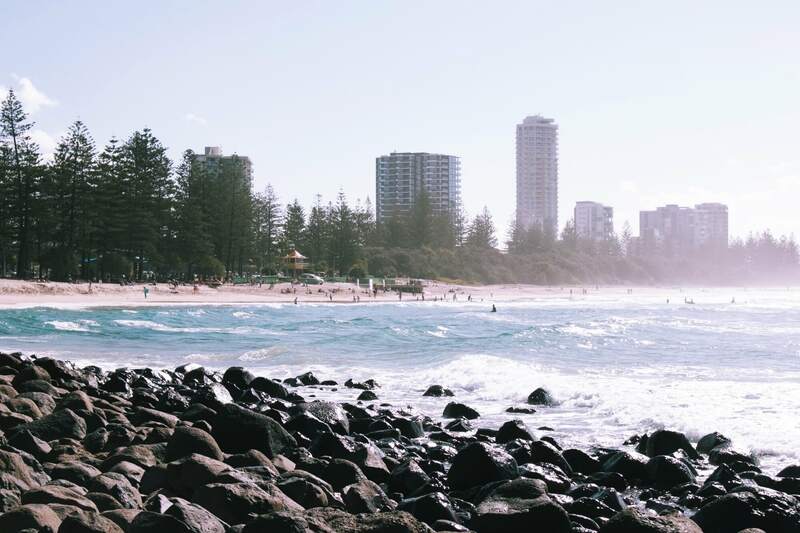 Make a pit stop at Burleigh Heads Beach en route to Gold Coast and soak up your first views of Gold Coast. 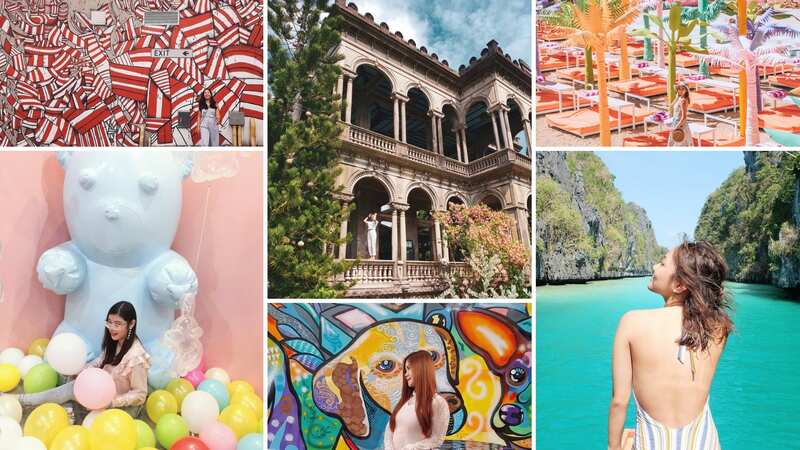 Take this chance to take a photo with the city or the ocean as your backdrop – guaranteed to be an Instagram-worthy shot! 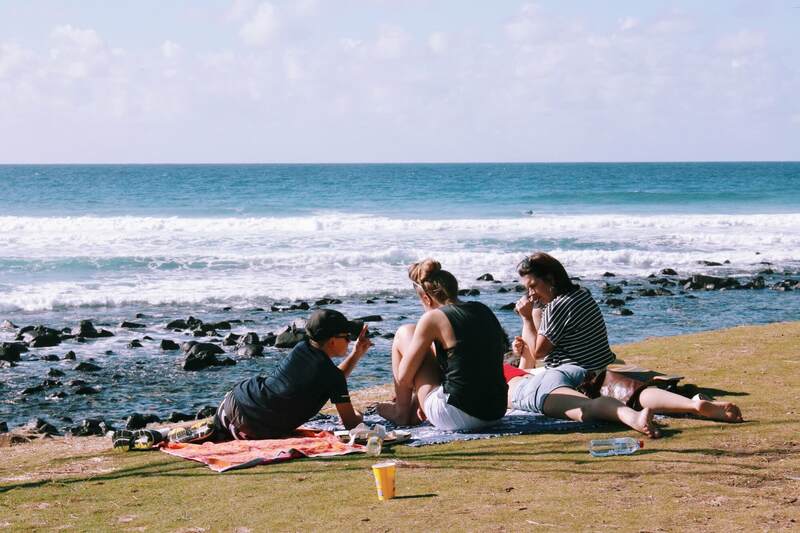 If you have time to spare, enjoy the beach like the locals – prepare some finger food, set up a picnic mat and simply chill out with your friends or family! 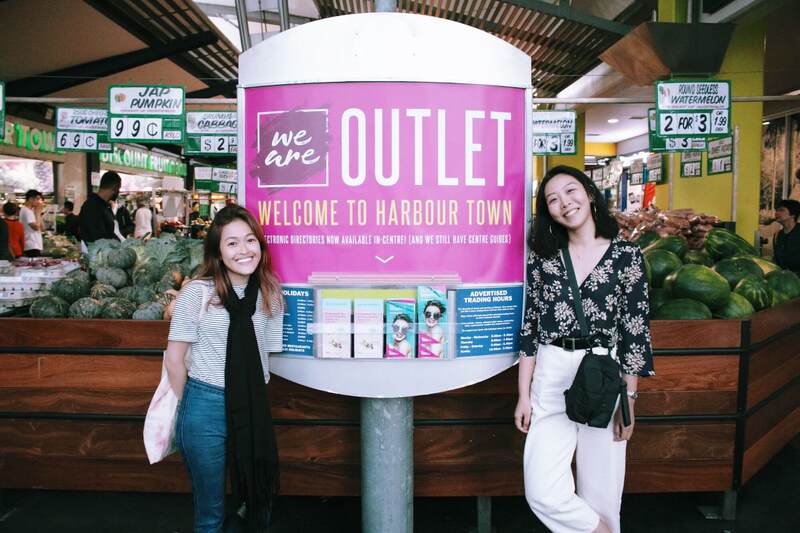 Unleash your inner shopaholic at Queensland’s biggest shopping mall featuring more than 400 specialty stores with iconic brands like H&M, Uniqlo, Zara and even Zara Home! 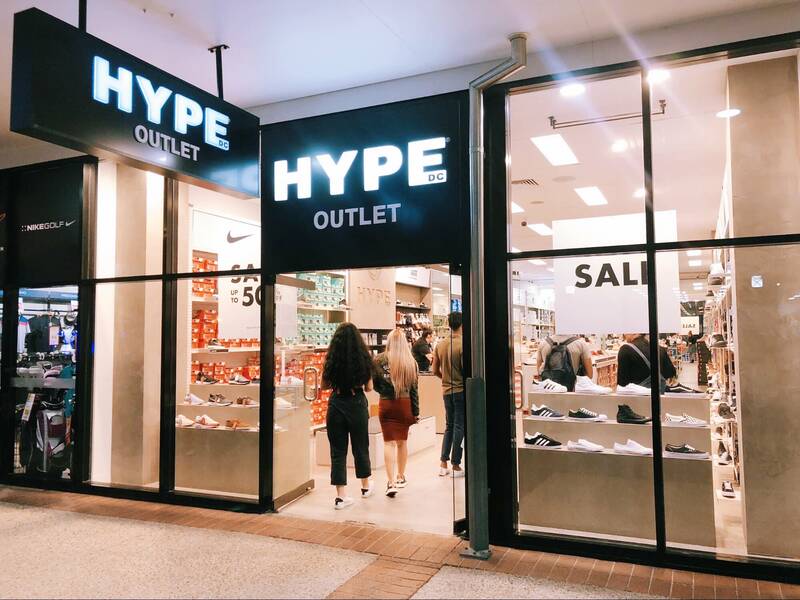 Look out for some famous Australian retail chains like Mecca (the equivalent of Sephora in Singapore), Coles and Target. 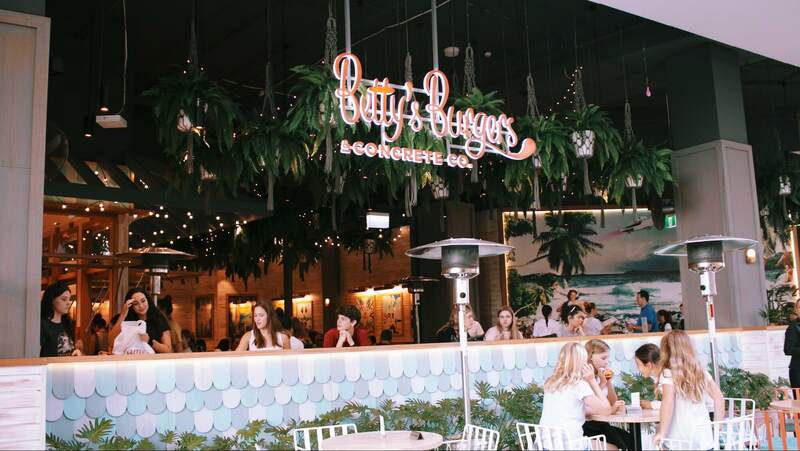 If you’ve worked up an appetite after all that shopping, make sure to try Betty’s Burgers located inside Pacific Fair Shopping Centre! This burger hut with beach shack vibes has been voted the best burger joint in Australia by the locals. 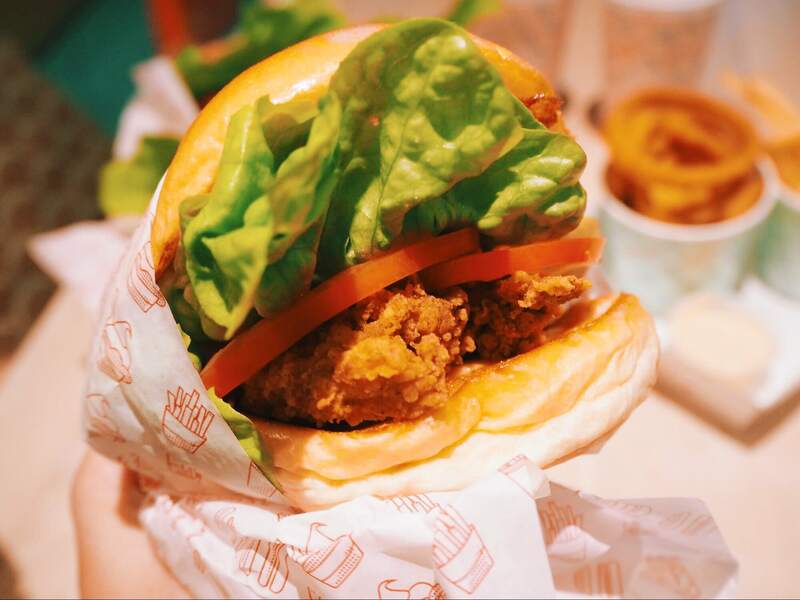 We especially enjoyed their Crispy Chicken Burger (AUD 11, ~SGD 11.10), which was fried to perfection and paired with their signature sauce. Opt for the Deluxe option to add bacon and cheese to your burger for just (AUD 4, ~SGD 4), yum! 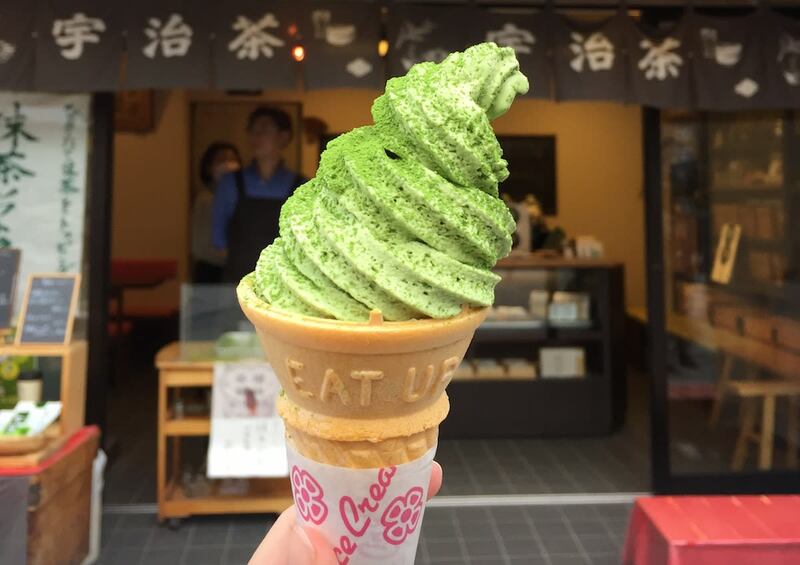 You’ve also got to try their frozen custard concoctions! 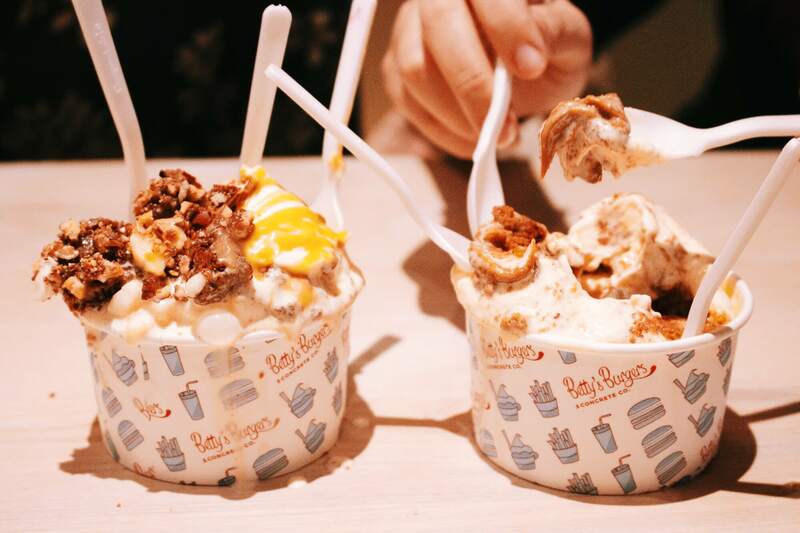 These are called Concretes (AUD 8, ~SGD 8.10), with extra ingredients like peanut brittle, pecan pudding, doughnuts and lemon cheesecake mixed through them. We highly recommend the Cookie Butter flavour! Absolutely delicious. 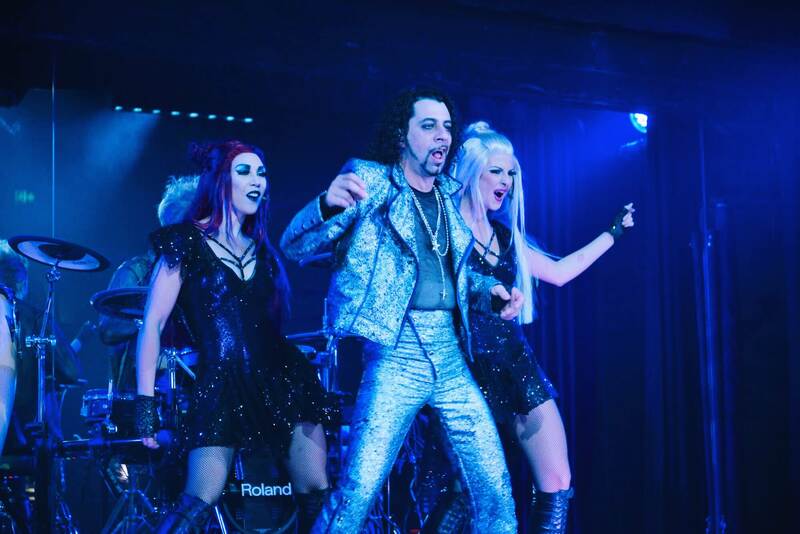 After a day of activities, indulge yourself with a three-course dinner accompanied by a hilarious performance at Dracula Cabaret Restaurant. 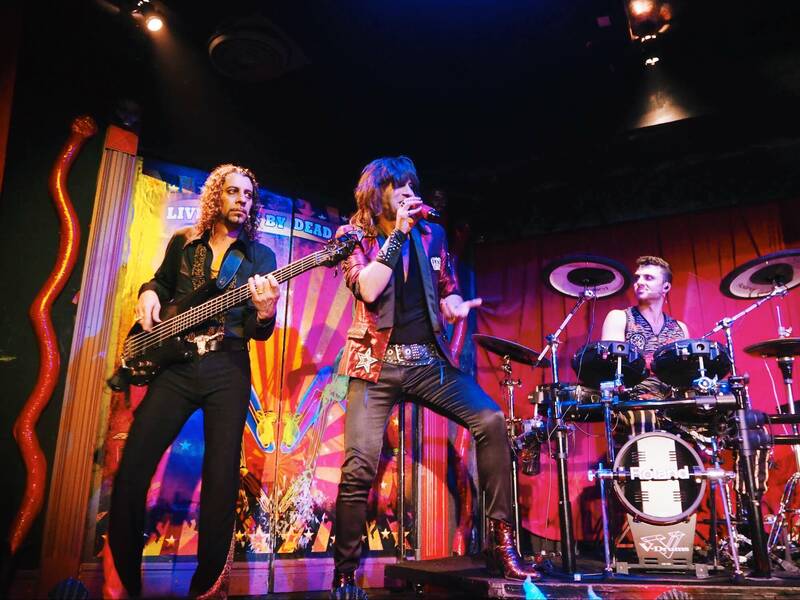 The live music show, engaging performance, and well-crafted series of special effects by the team are guaranteed to keep you entertained throughout the night. 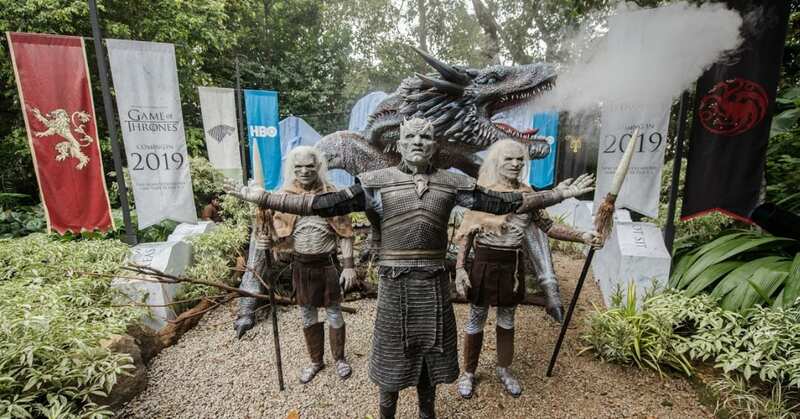 This is a show that you surely won’t want to miss when in Gold Coast! 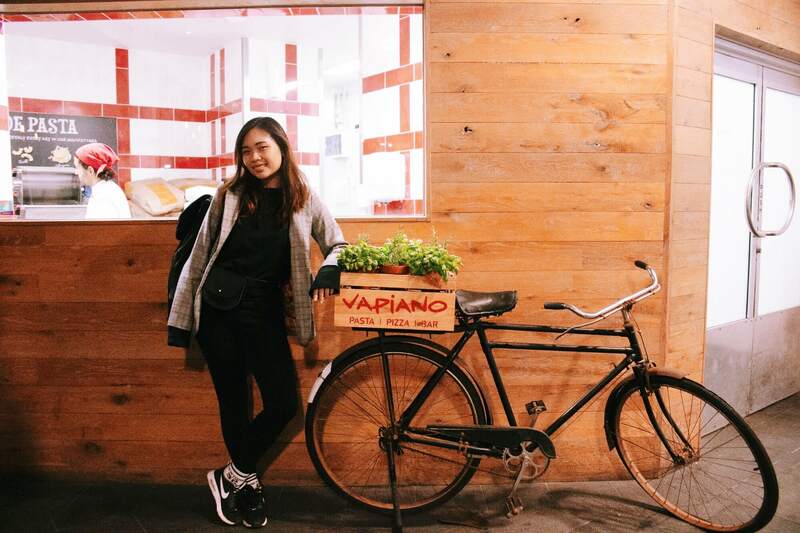 The restaurant is just a 3-minute walk away from Pacific Fair Shopping Centre, so you can leave your car at the carpark in Pacific Fair and walk over. Get transported into another realm the moment you step into the dracula-themed building. 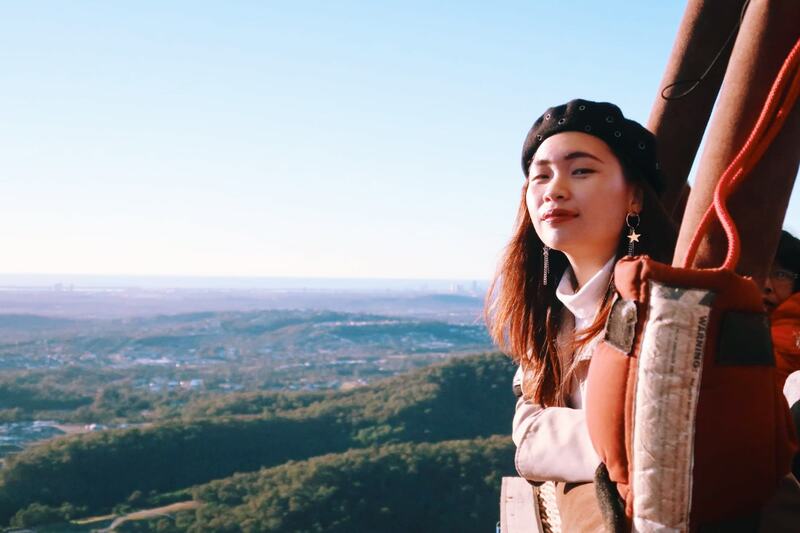 To have this otherworldly experience during your stay in Gold Coast, pre-book your ticket to Dracula’s Cabaret Restaurant now with Klook to enjoy great deals! We know that Turkey has long been everyone’s dream destination when you mention hot air balloons. 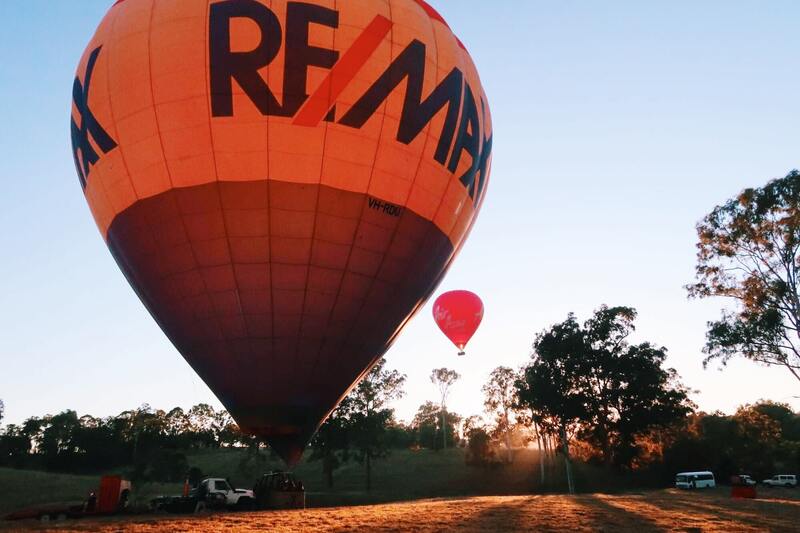 But now, without needing to travel that far, you can fulfill your hot air balloon dreams here in Gold Coast! 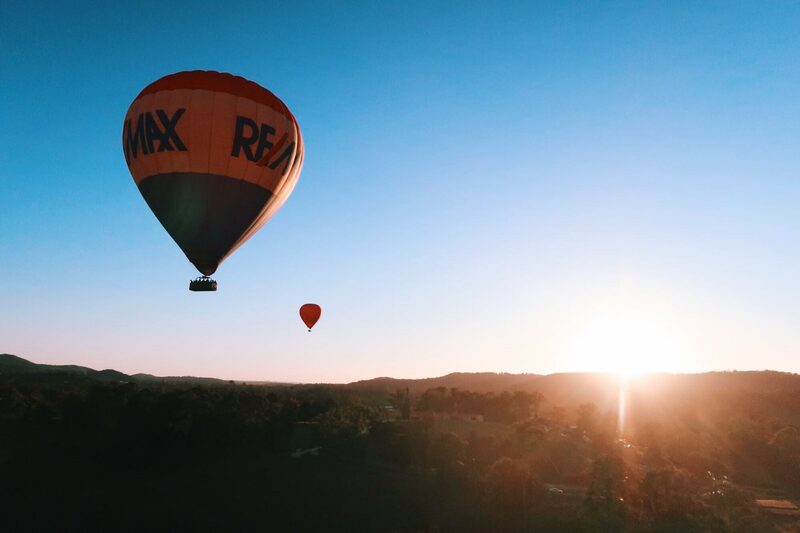 Imagine cruising through the air and watching the spectacular sunrise while being 2,000 feet above ground – this was definitely one of the highlights of our trip! 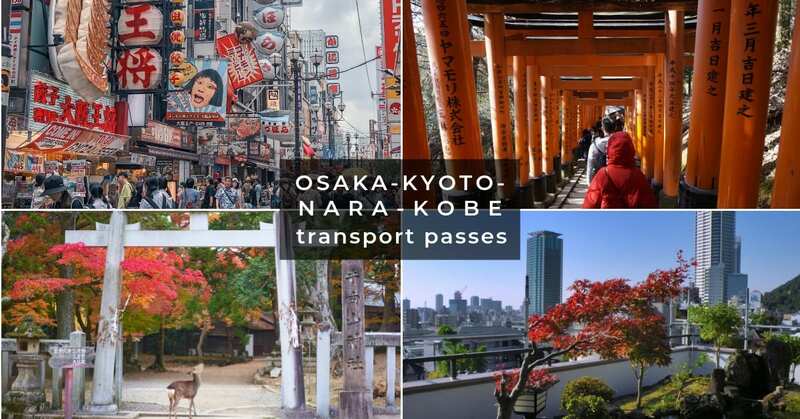 Fair warning – be prepared to be up at the wee hours of the morning for this (but we can guarantee you that it’ll be worth it!). 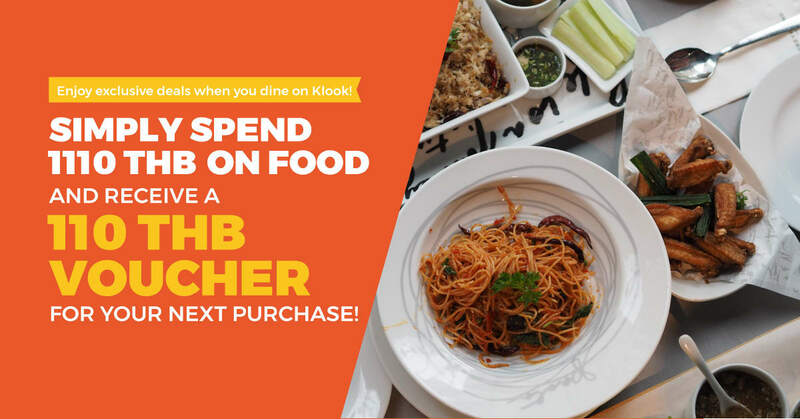 Book your hot air balloon adventure on Klook and enjoy free pick-up and drop-off from your accommodation! A confirmation email will be sent post-booking with your pick-up timing. Each basket fits 20 people excluding the pilot. 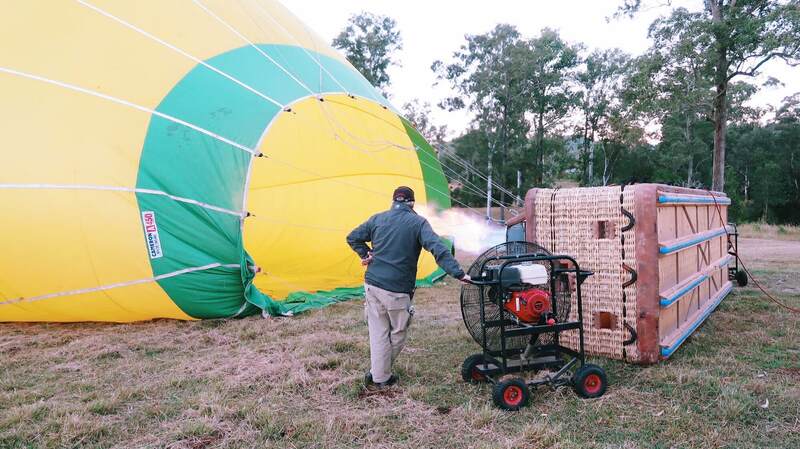 Once you step into the basket, the pilot will go through with you the dos and don’ts of being in a hot air balloon. Next, all you have to do is stand tight as the basket starts to lift off. 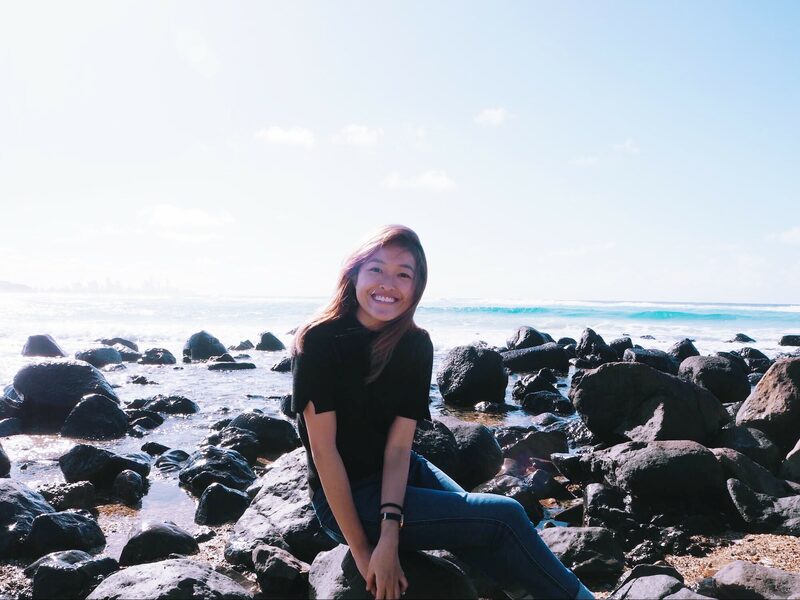 We were blown away by the mesmerizing view of Gold Coast, especially with the sun slowly rising over the horizon. The view doesn’t get better than this! 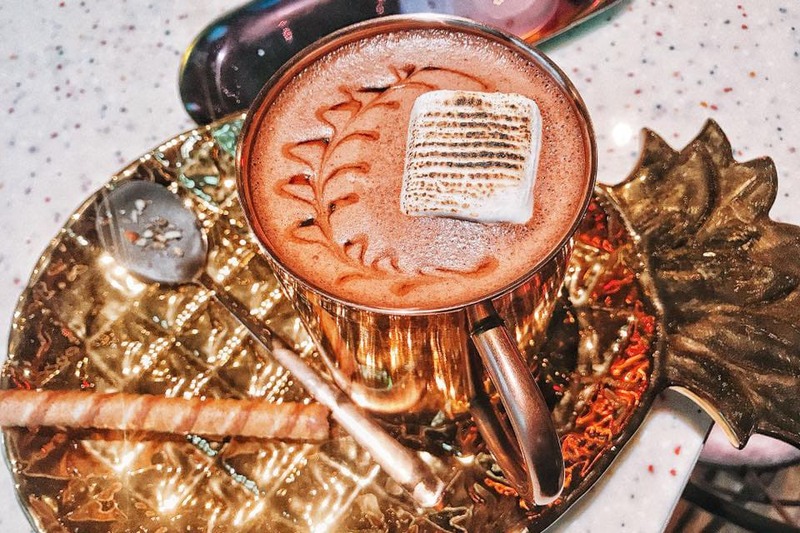 Now that you’re wide awake, head over to Harbour Town for brunch and even more retail therapy! 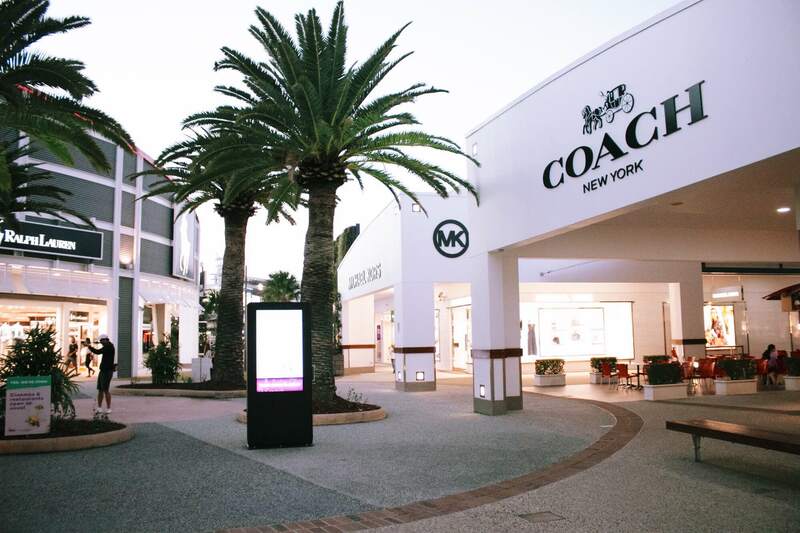 Offering over 240 stores with well-known brands such as Ralph Lauren, Fila, Tommy Hilfiger, Adidas, Nike, Kate Spade and so much more, this is THE biggest outlet shopping in the whole of Australia. 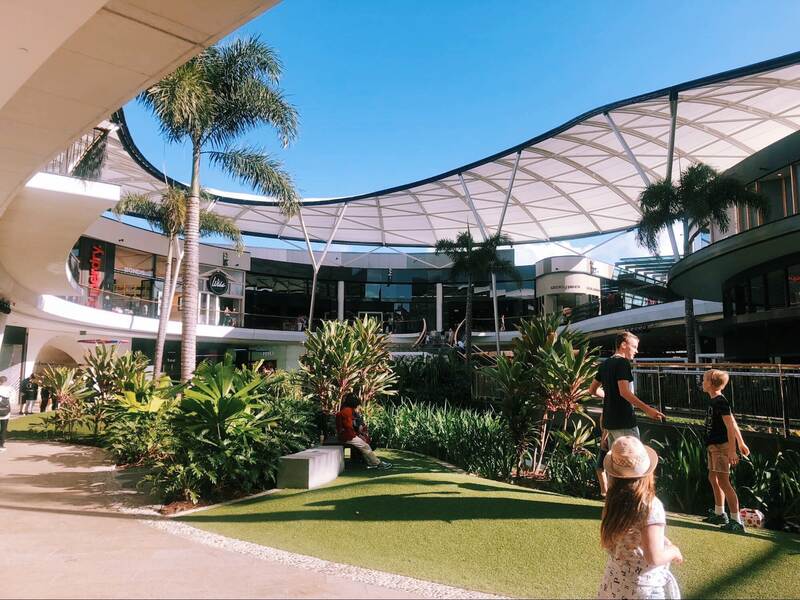 Harbour Town may be a little out far out from central Gold Coast but be sure to include this location in your itinerary because we guarantee you it’ll be worth it! 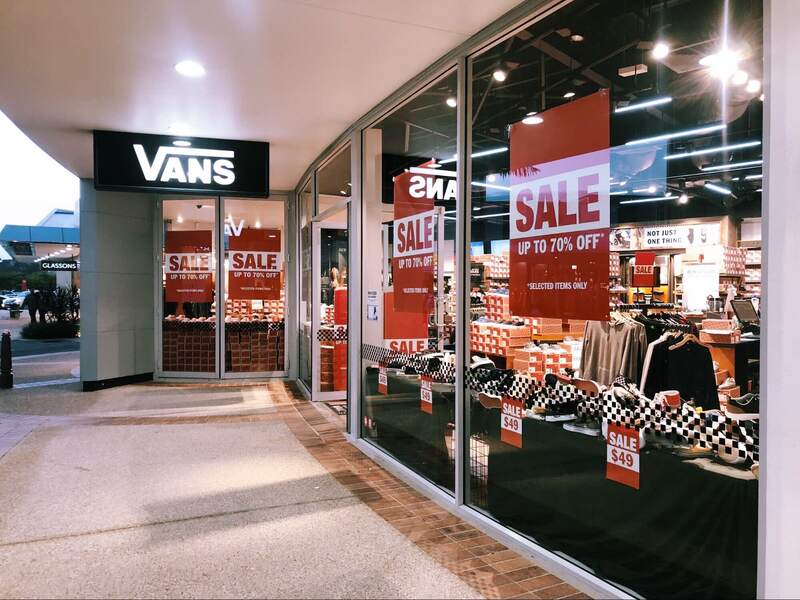 Get ready to spend at least half of your day here to cover everything that this shopping centre has to offer. 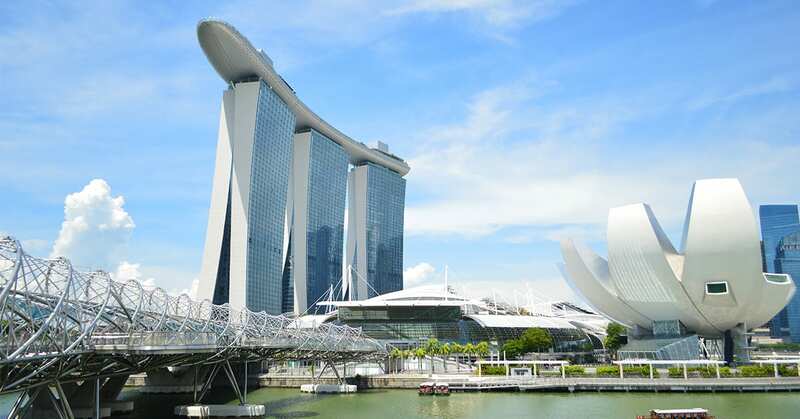 Enjoy HUGE discounts with prices slashed by as much as 80% – this is truly a shopaholic’s haven. 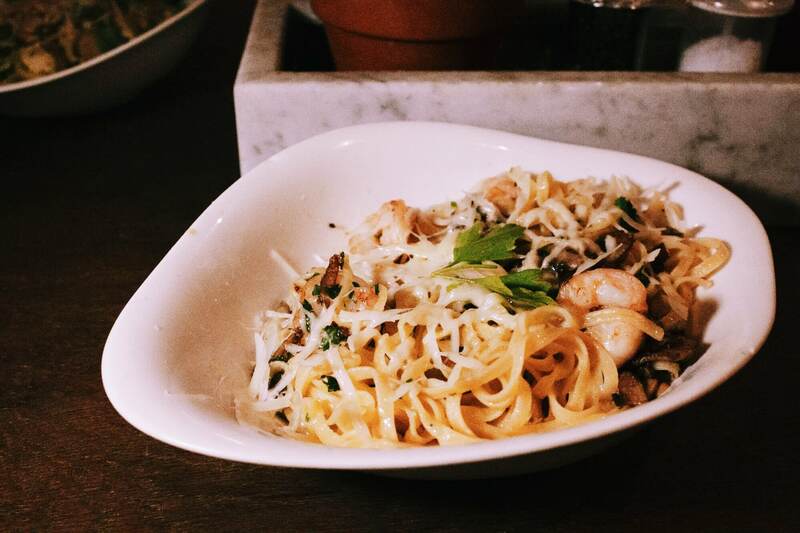 We’re sure that you’ve whipped up an appetite after a full day of shopping at Harbour Town. 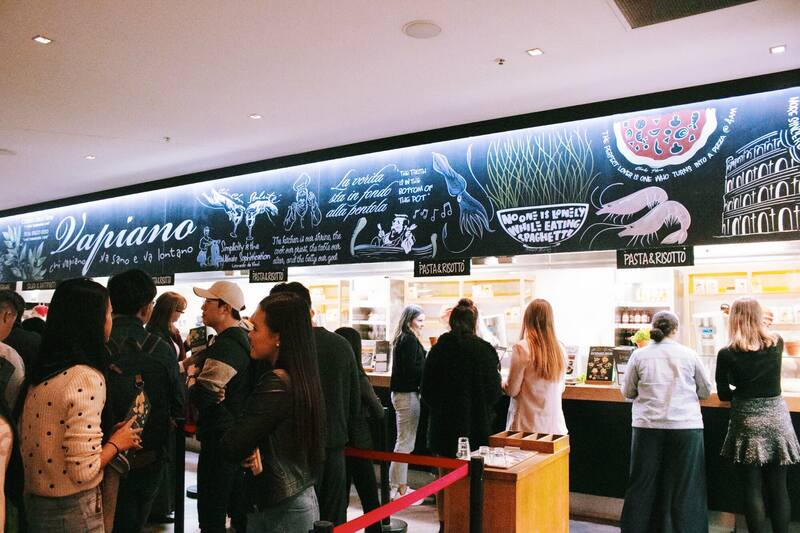 Head on back to Surfers Paradise for some delicious handmade pasta from Vapianos! 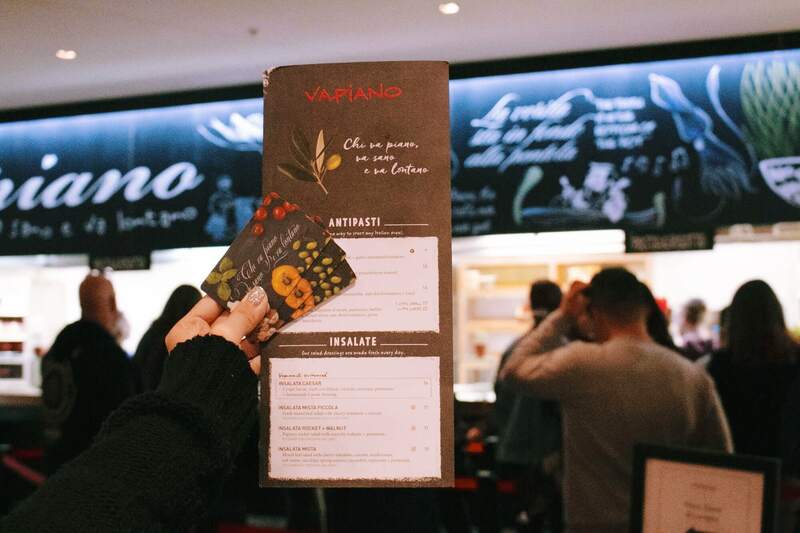 Payment at Vapianos works like Marché in Singapore – you collect your card, swipe the card after ordering with the chef, and make payment on the total bill when leaving the restaurant. 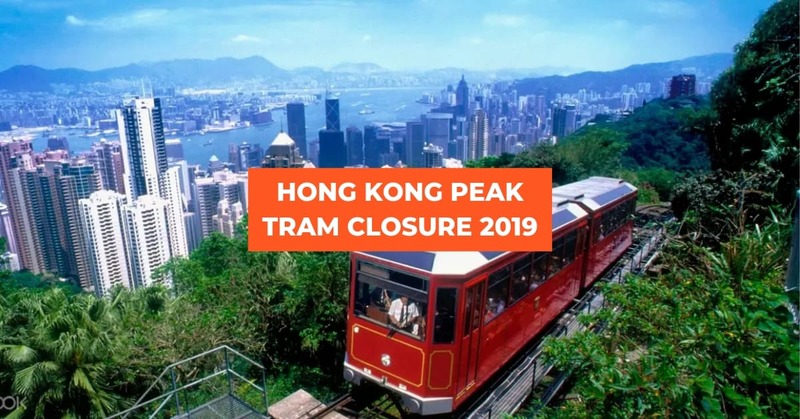 Expect large crowds during lunch and dinner and be ready to wait in line for about 30 minutes during peak hours (but we guarantee it’ll be worth it!). This also goes to show how popular the restaurant is with the locals! 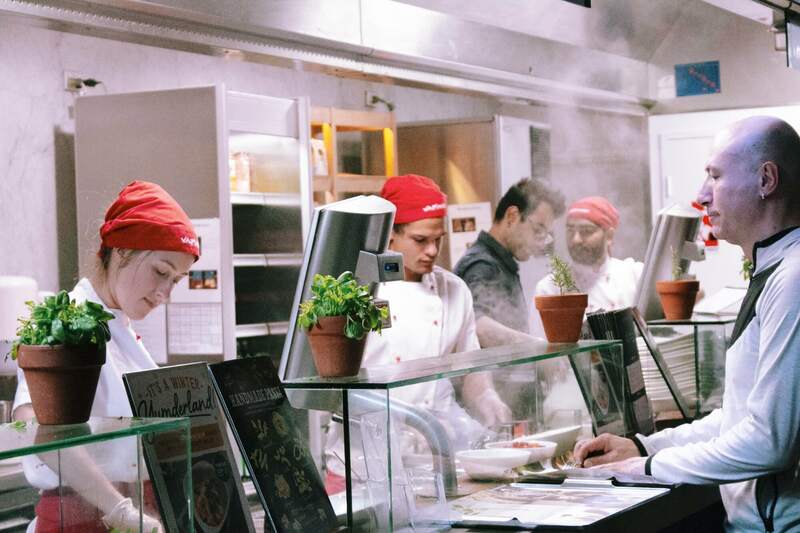 All food is cooked to order, which explains the delay. 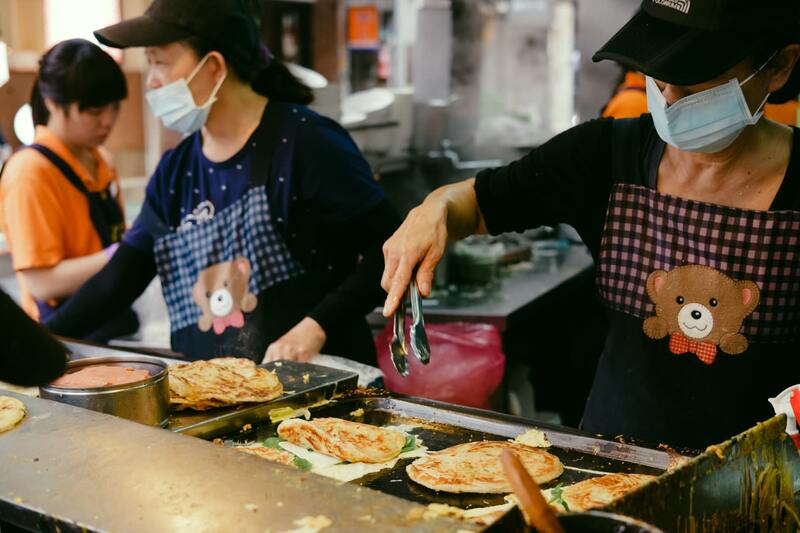 All their ingredients are also locally-sourced, bringing you a unique farm-to-table experience hard to find in Singapore. The Aglio E Olio (AUD 18, ~SGD18.20) and the Risotto Funghi (AUD 19, ~SGD19.20) were definitely our winners for the night. 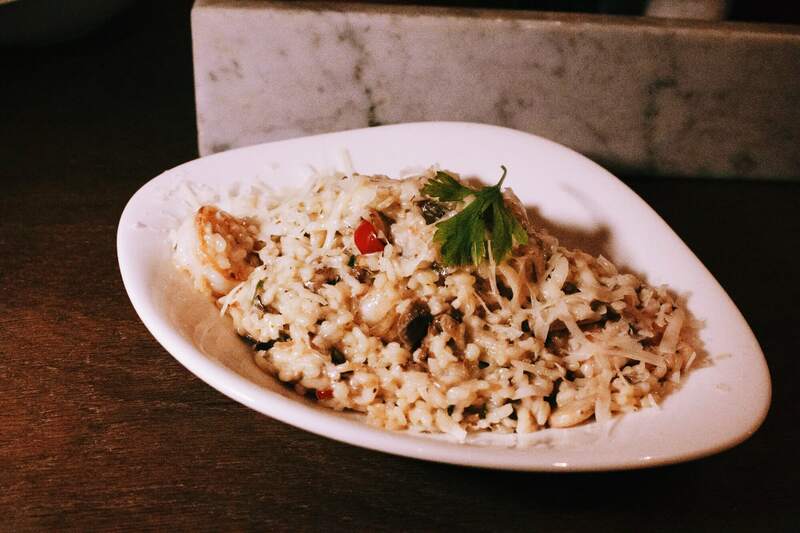 Perfectly seasoned, paired with fresh ingredients and pasta cooked to al dente, this was quite possibly one of the best Italian food that we’ve had! With its modern decor and ambient lighting, we believe we’ve found the best place for a casual night hang with your friends in Gold Coast. If you think that the night ends early in Australia, you’re sorely mistaken! 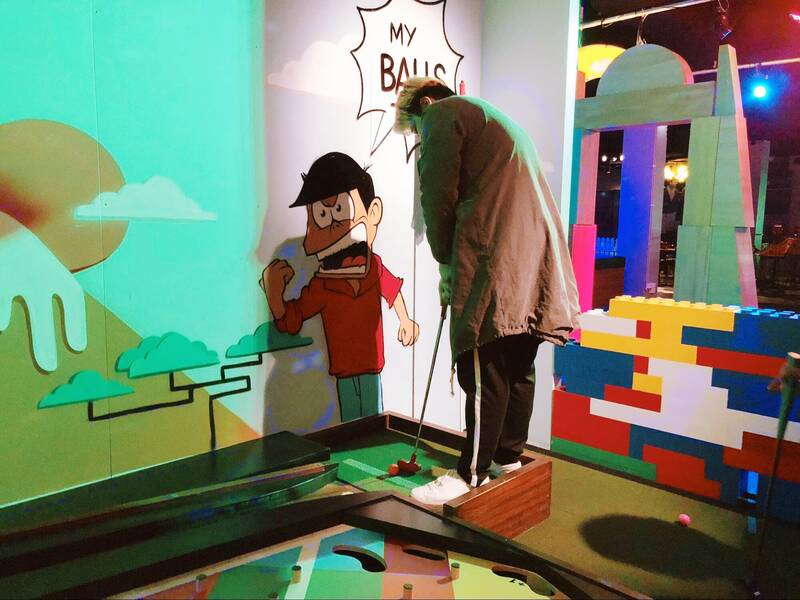 After a good meal, grab your buddies and pit yourselves against each other in a friendly game of mini golf at Holey Moley. If you just want to chill and relax, this underground mini golf place also has a bar for you to grab a drink or two. 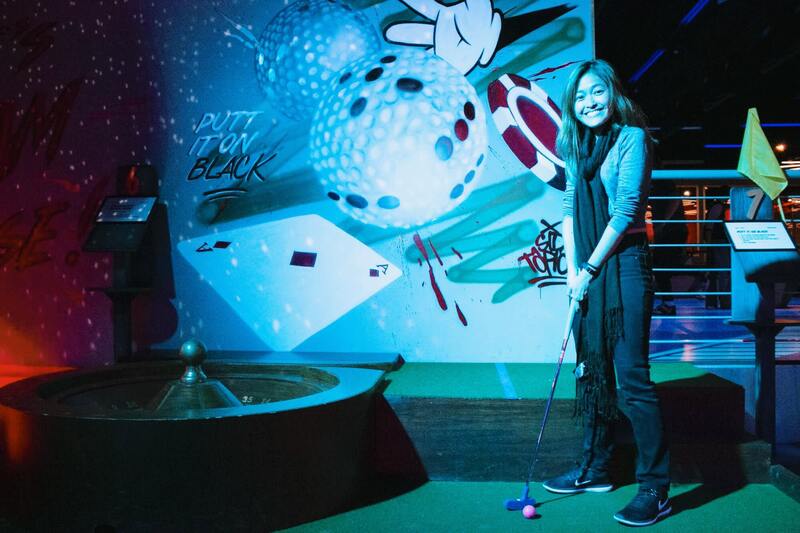 Grab your club and golf ball and try to conquer all 18 mini golf courses! 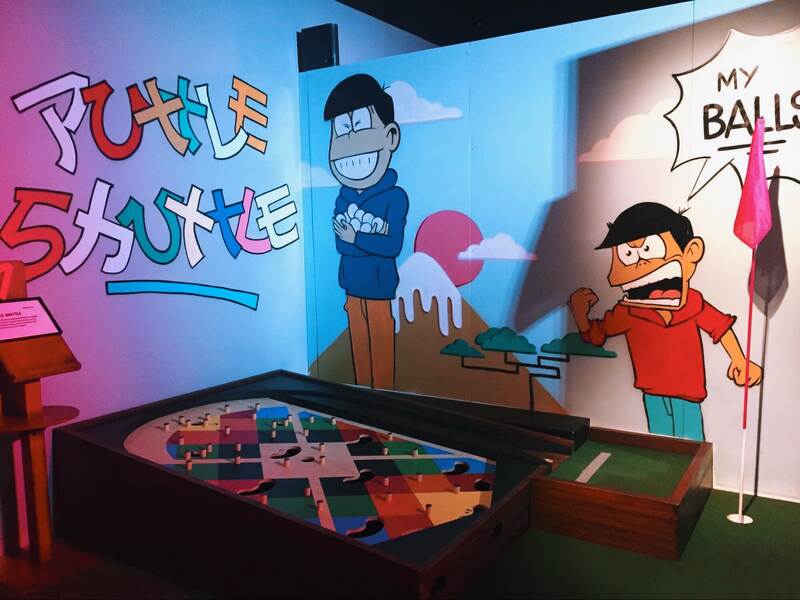 Don’t worry if you’re not an experienced golfer (we aren’t too), the golf courses with its whimsical decor are meant for even beginners to try. 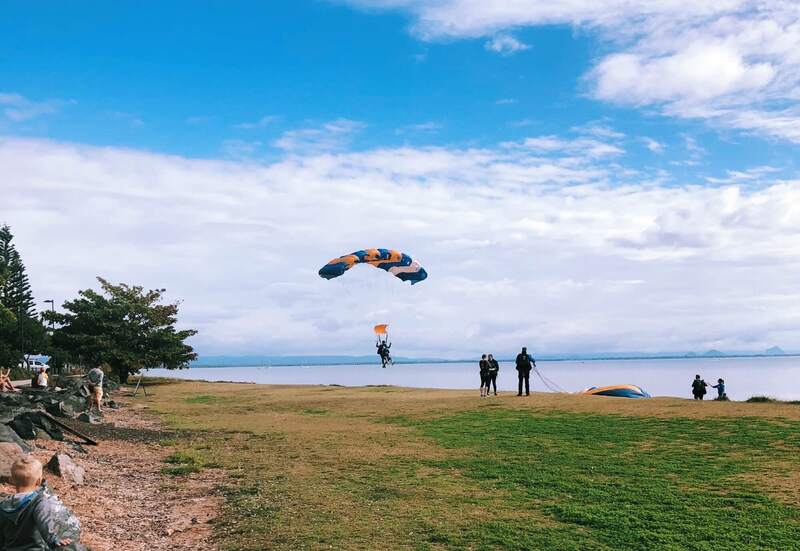 If there’s one thing you must do in Queensland let it be skydiving. 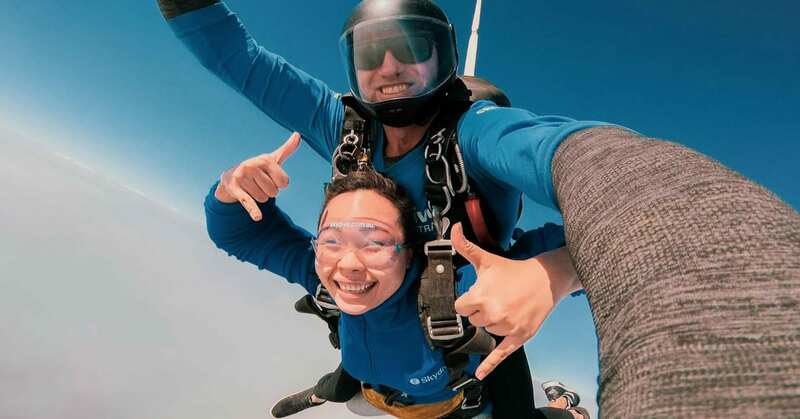 Flying through the air at 15,000 ft above the Pacific Ocean might not sound like a ton of fun, but the free-falling bit was the best part of our Klook skydiving activity in Brisbane. 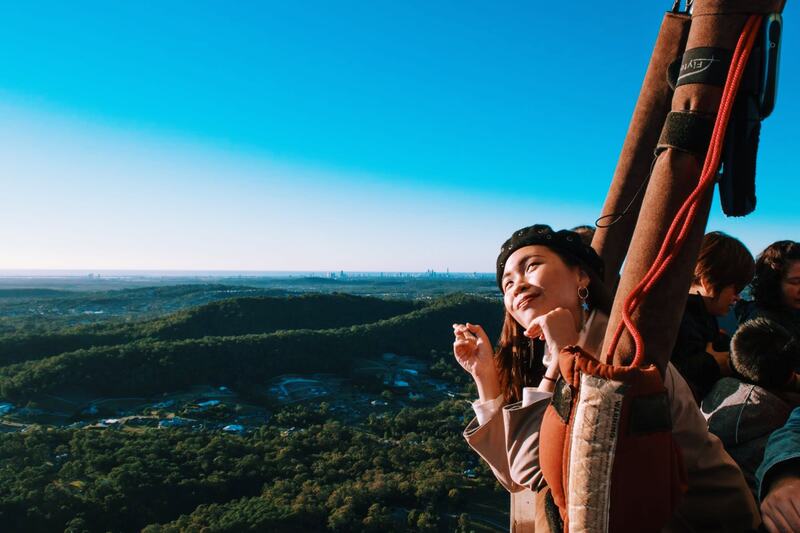 When the parachute opens and you slowly drift through the air, you get to take in the most amazing view of the ocean and Brisbane’s cityscape. If you’re up for it, you can even control the parachute on the way down – manoeuvring under the instructor’s guidance. After 4-5 minutes of coasting through the air, you’ll then come in for a landing at Brisbane Beach. 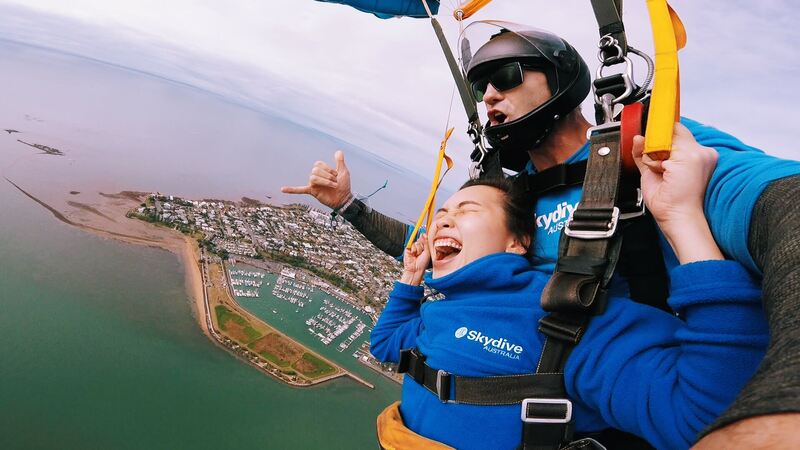 Ready to tick skydiving off your bucket list? 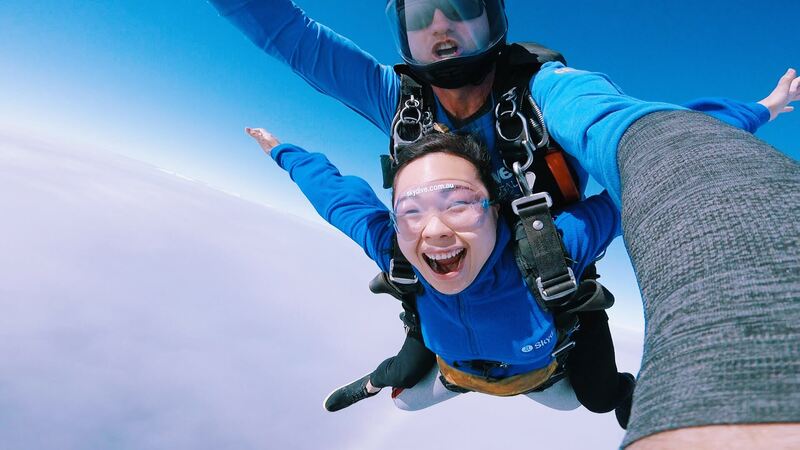 We recommend going with the video and picture package when you book your skydiving experience on Klook. 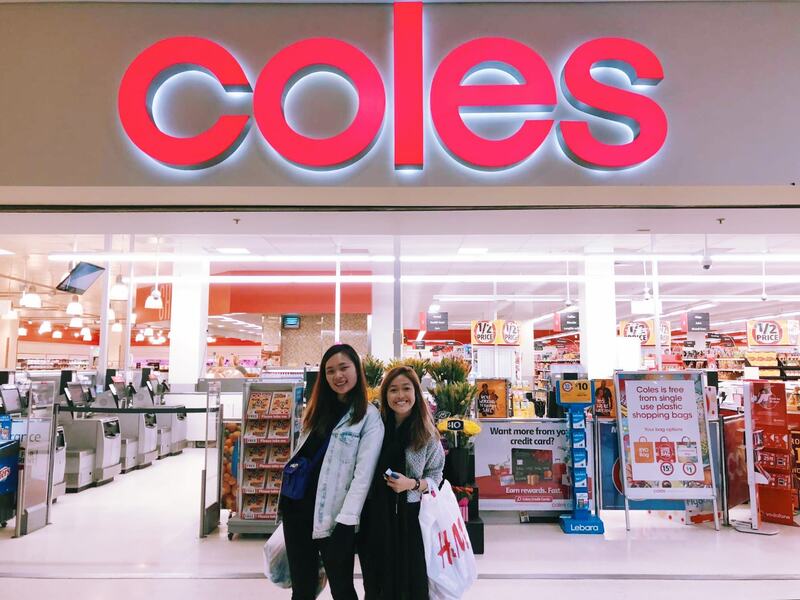 Klook Travel Tip: Head to a nearby Coles to pick up some snacks before you hit the road to Brisbane! 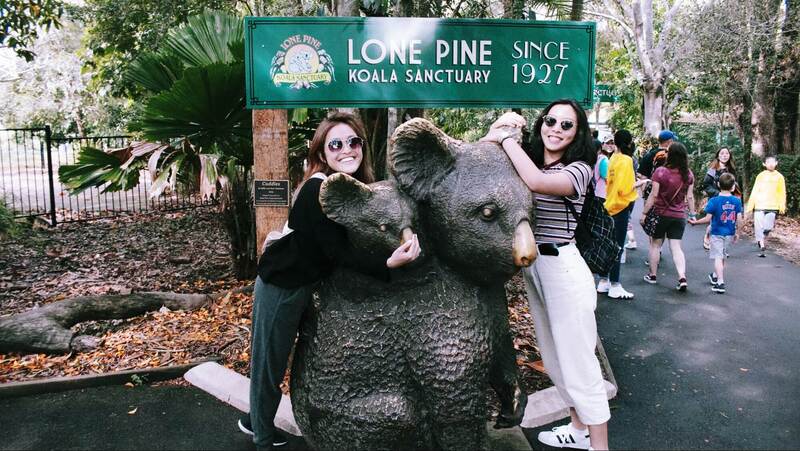 No trip to Australia is complete without visiting their iconic koala bears! 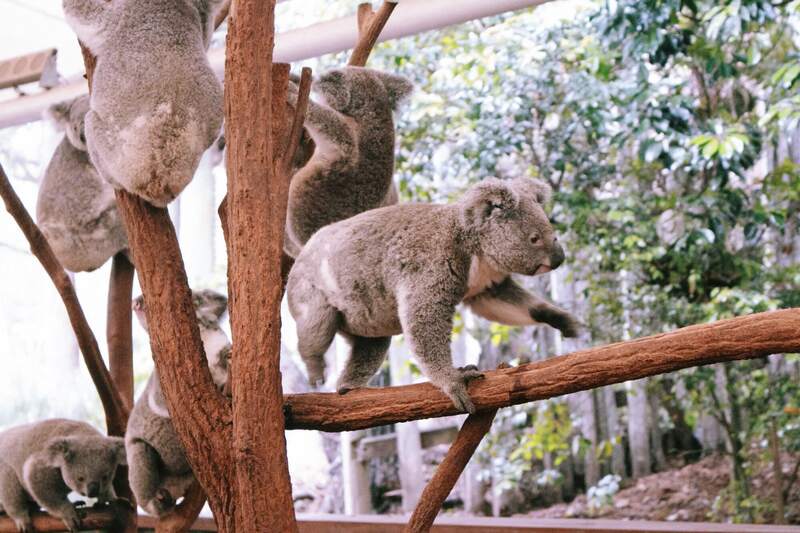 The Lone Pine Koala Sanctuary is the world’s first and largest koala conservation site. With more than 130 koalas grouped into different age groups from “kindergarten” to “retirement home”, you’ll get to see how the koalas behave based on their age! P.S. 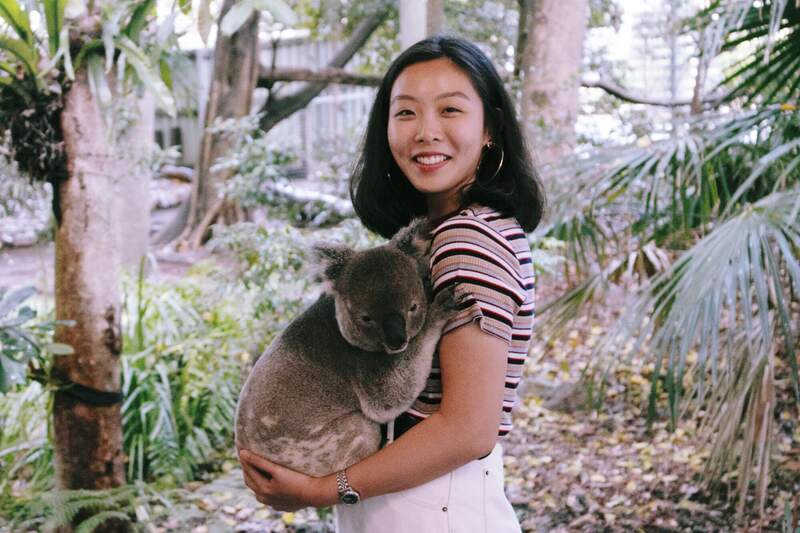 Did you know Queensland is the only state in Australia where you’re legally allowed to hold a koala? 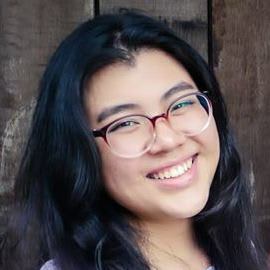 Ticket sales for koala holds start from 9am daily until sold out and each ticket for koala holds costs AUD 25 (~SGD 25.30), which includes a physical printout of your photograph. 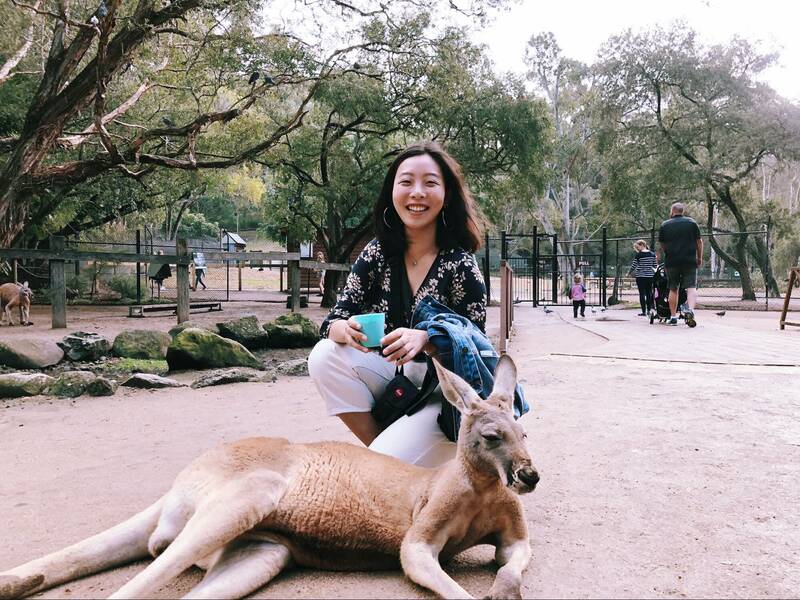 The Lone Pine Koala Sanctuary has a variety of other Australian wildlife in beautiful and natural settings such as kangaroos and wallabies. 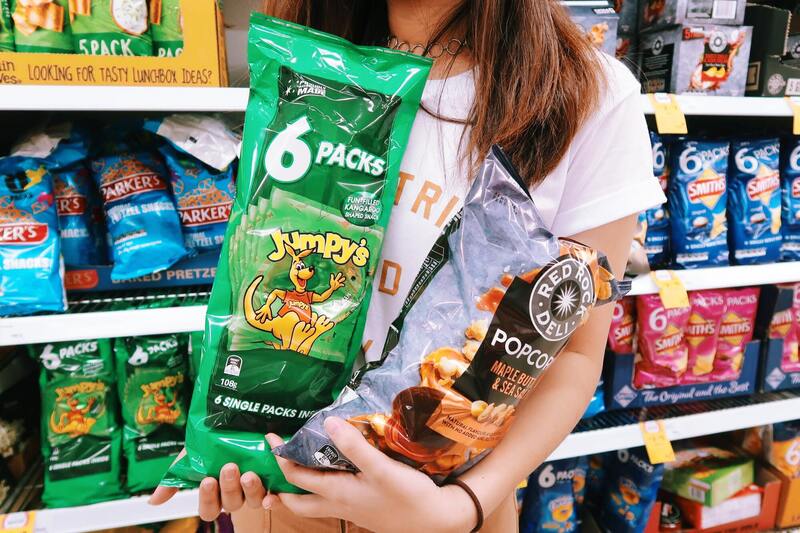 Feel free to purchase some snacks to feed the kangaroos and wallabies in their enclosure! Book your ticket for Lone Pine Koala Sanctuary at Klook to enjoy the lowest price guaranteed and get to skip the queue into the sanctuary! 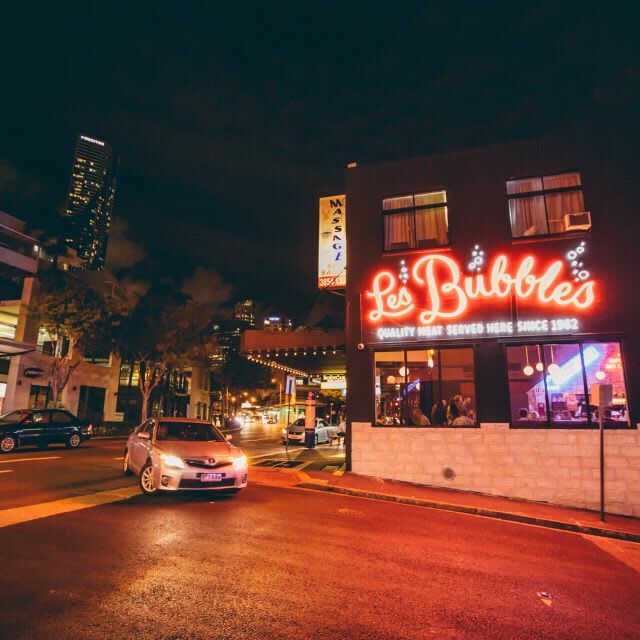 Once an illegal casino and brothel, now a classy French-style bistro, Les Bubbles is a hidden local gem. With their neon sign board and busy crowds, this bistro is hard to miss when you’re driving by the neighbourhood. 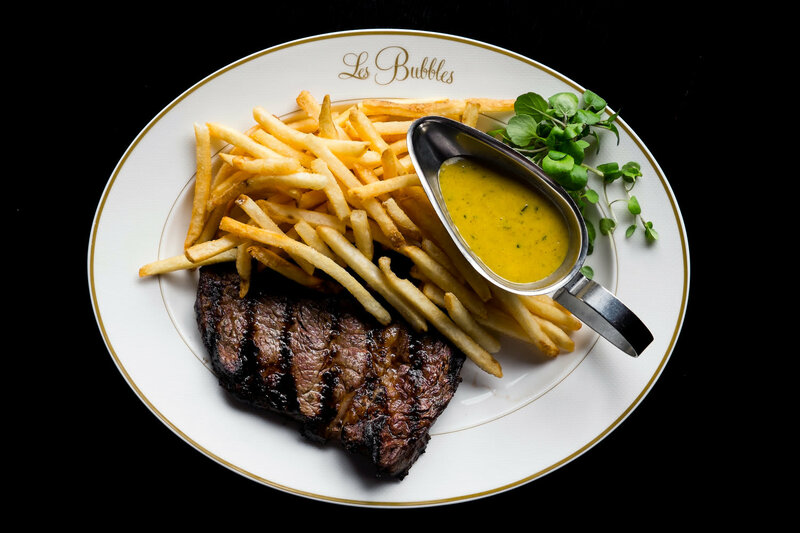 Their menu is centred around their signature dish – Steak Frites (AUD 36.95, ~SGD37.10). 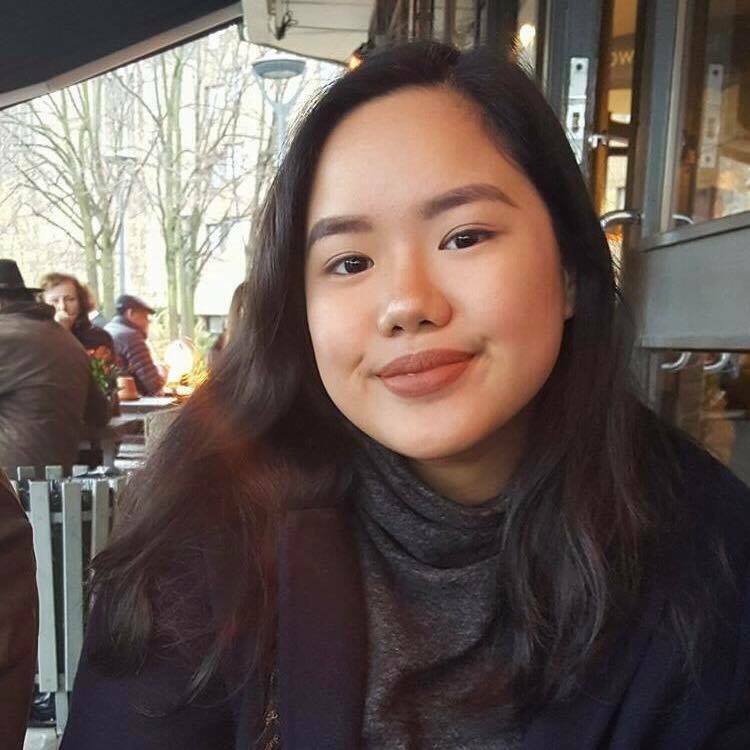 Known as the national dish of France, it’s served with soft leave salad, a sauce of your choice and an unlimited amount of fries. Yes, you read it right, unlimited amount of fries! Their steak frites are donemedium rare, but you may inform the waiter if you’d like it cook another way. The restaurant is vegetarian and pescatarian friendly as well, simply ask the waiter for the day’s specials. 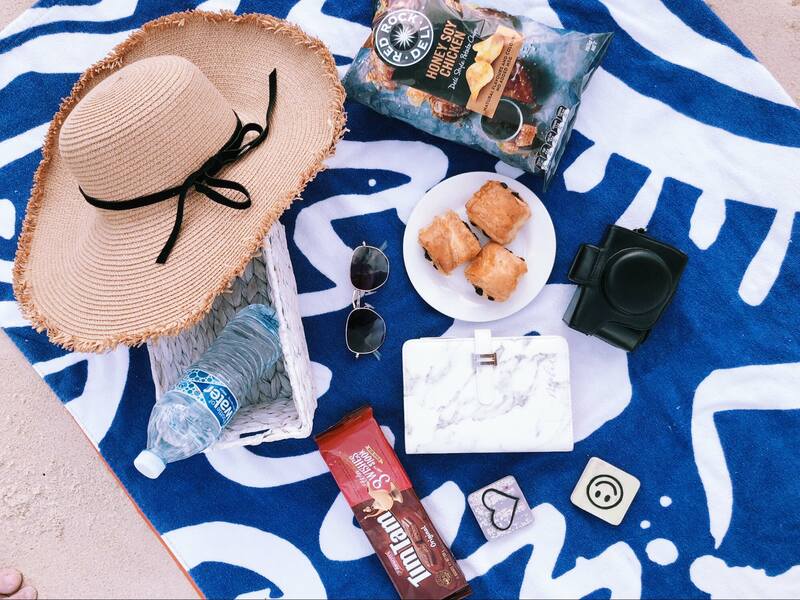 Picnics are a quintessential part of every road trip! 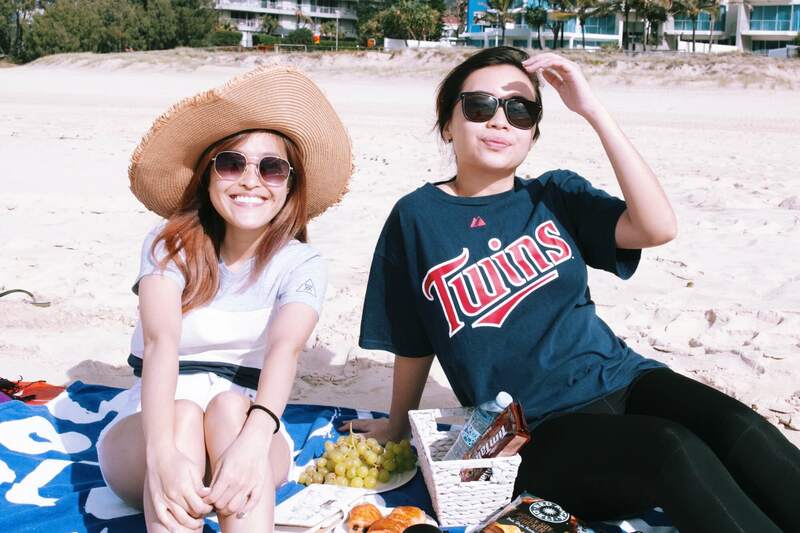 The best part about Queensland is that along the way, the tropical sunshine state offers many lookout points for people to stop by and relax, have a picnic and of course get that Instagram shot at the beach before continuing on the road. 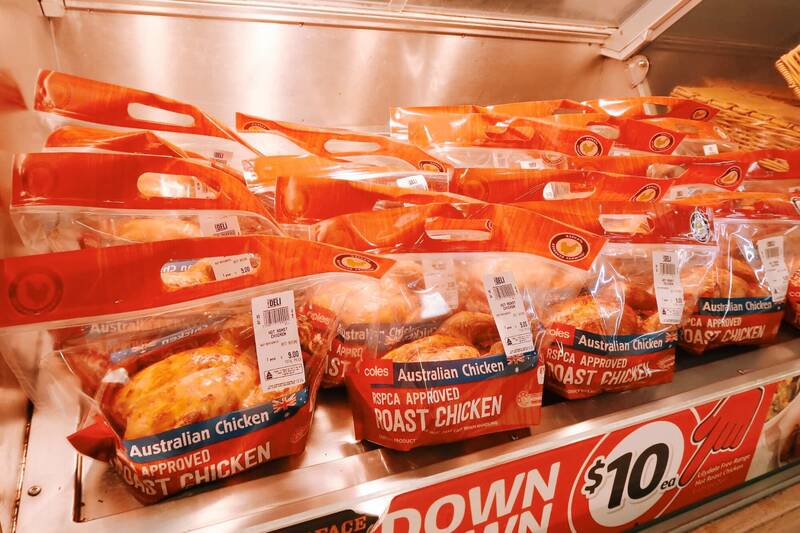 Head to Coles to grab ready-to-eat food like whole roasted chicken and famous Aussie snacks like the famous Tim Tams, Red Rock Deli Chips and Jumpy’s. Looking for healthier snack options? Head down to their fresh produce section and buy their strawberries at a much lower price as compared to Singapore! Coles also has a bakery section, selling freshly baked bread and pastries. 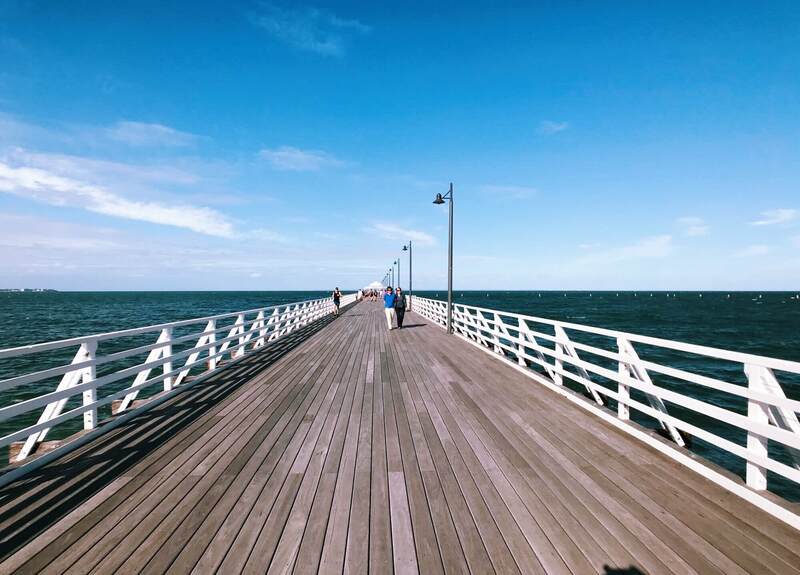 Once you’ve gotten all your supplies, Shorncliffe Beach awaits! Start your day early and you may be able to catch the sunrise in the morning! We all remember watching Steve Irwin on TV as a kid, seeing him captivate the audience with his daring interactions with some of the most ferocious animals on earth. 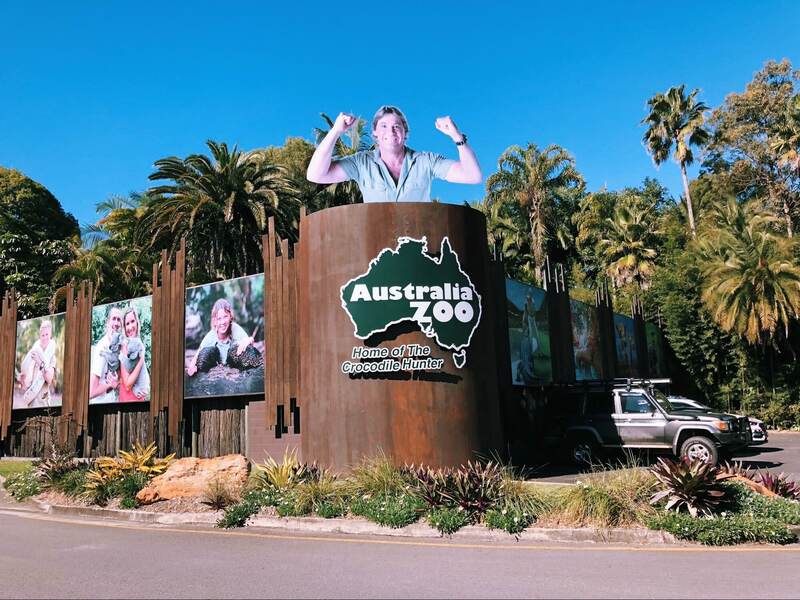 His passion and love for wildlife could be felt even from the screens, and it’s heartening to witness how his legacy continues to live on at the Australia Zoo. 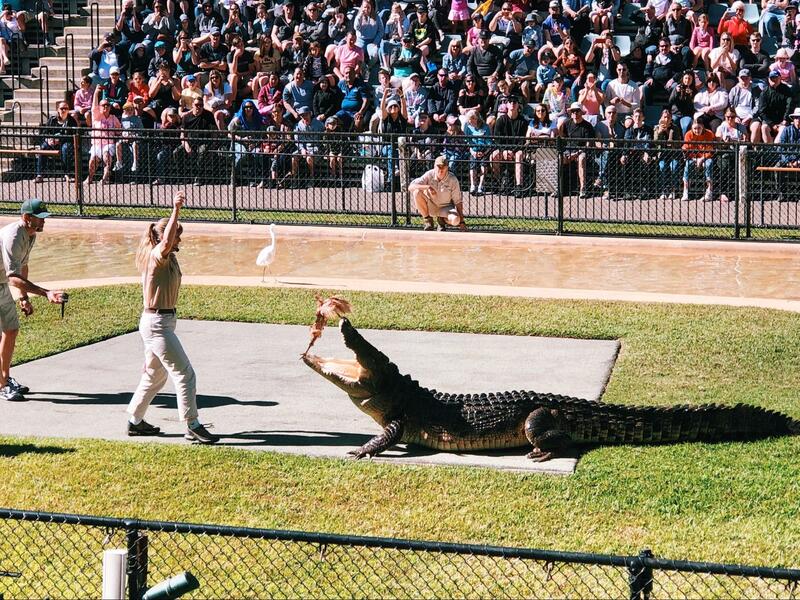 The Australia Zoo, approximately the size of 76 football fields, is the biggest zoo in Australia. It is home to the best wildlife conservation facilities in the entire world! 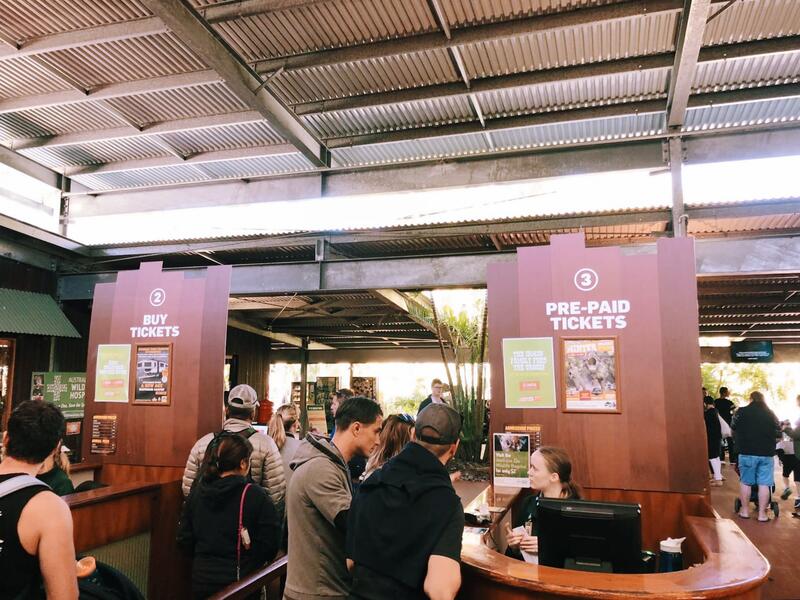 Skip-the-queues when you pre-purchase your Australia Zoo ticket on Klook! 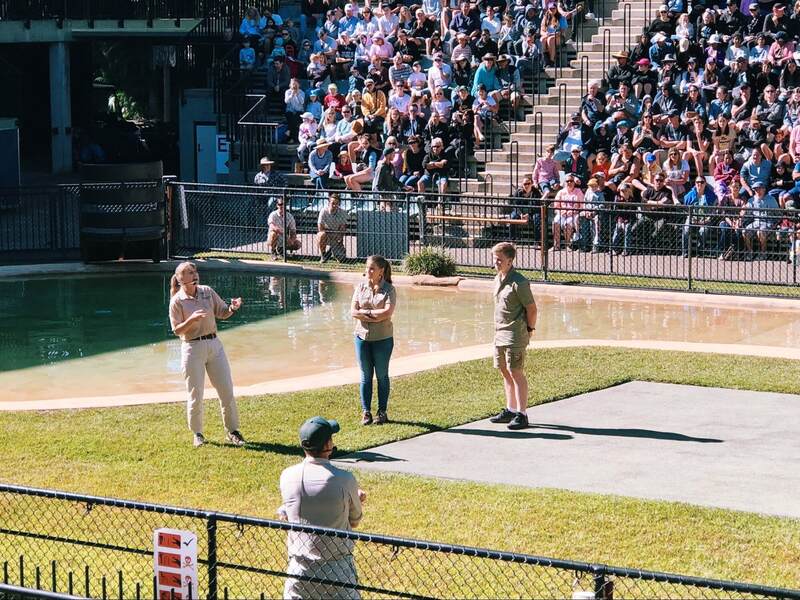 With a long list of animal feeding showtimes packed back to back at the Australia Zoo, the Australia Zoo Wildlife Warriors at 12pm daily at The Crocoseum is the highlight show that you wouldn’t want to miss! 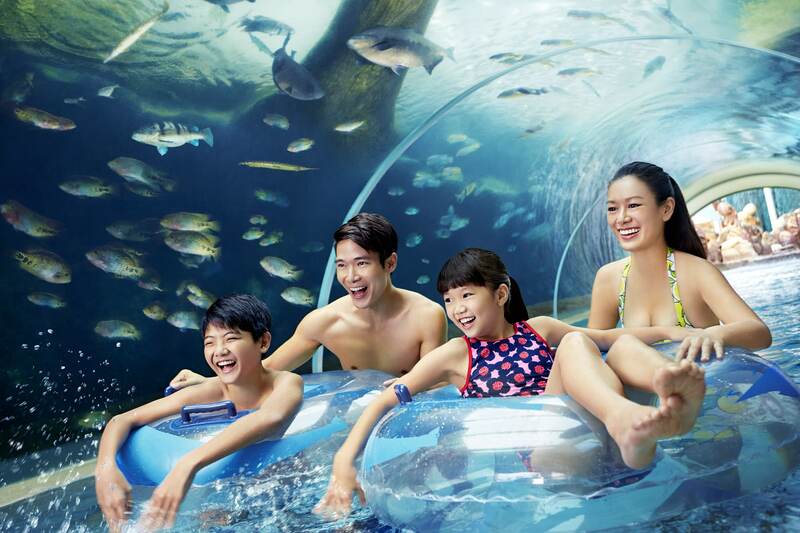 This showtime features a variety of animals including birds, giant snakes and big saltwater crocodile feeding. 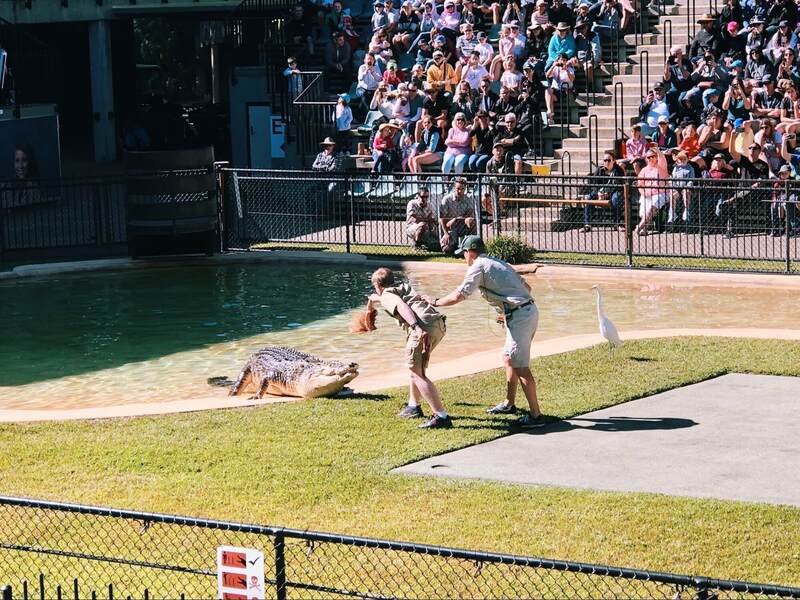 Klook Travel Tip: If possible, head down during the Winter holiday period (in July) in Australia and you’ll get to catch the Irwin family (including Bindi Irwin and Robert Irwin) perform during the show! 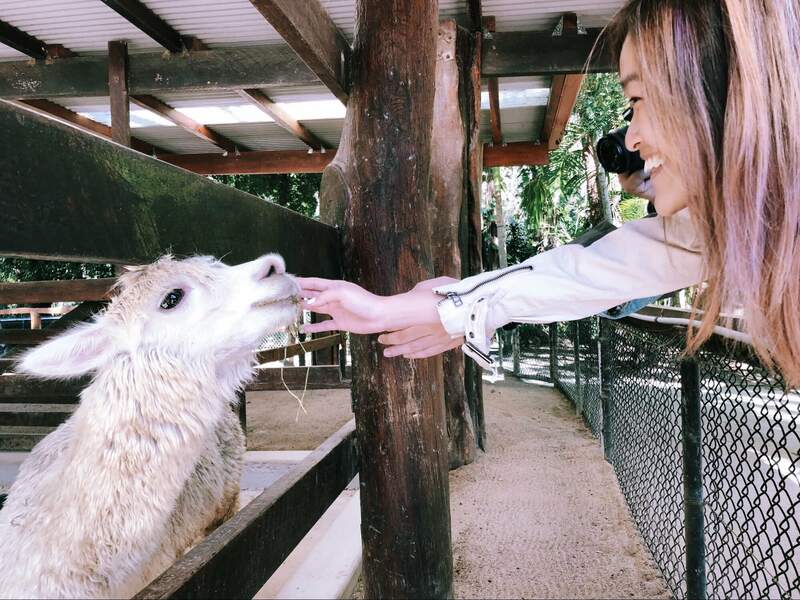 Feel like a child again as you spend your day exploring the different zones in the Australia Zoo! 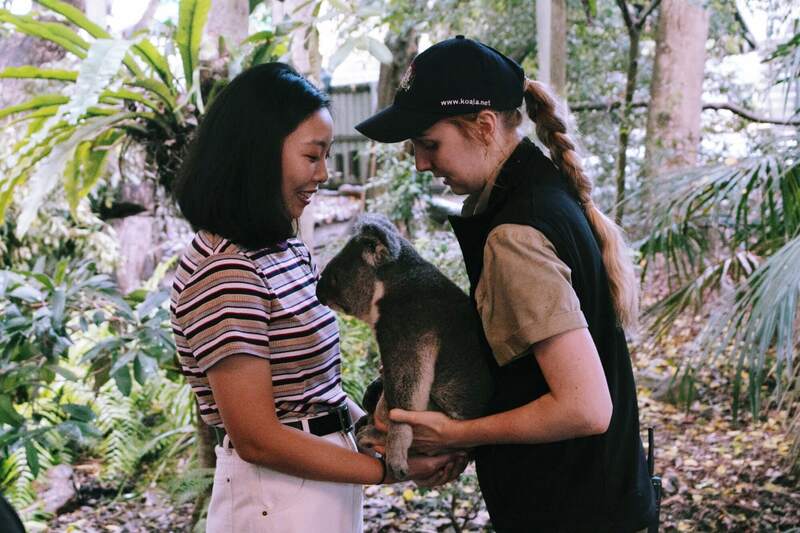 With more than 100 acres of land to explore, you can be sure to encounter all the exotic Australian animals there are, including the cutest alpacas, baby kangaroos, wombats and koalas. 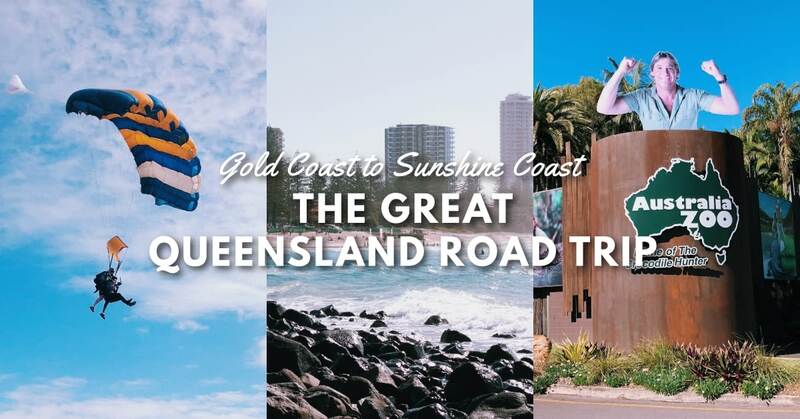 Your great Queensland road trip awaits! 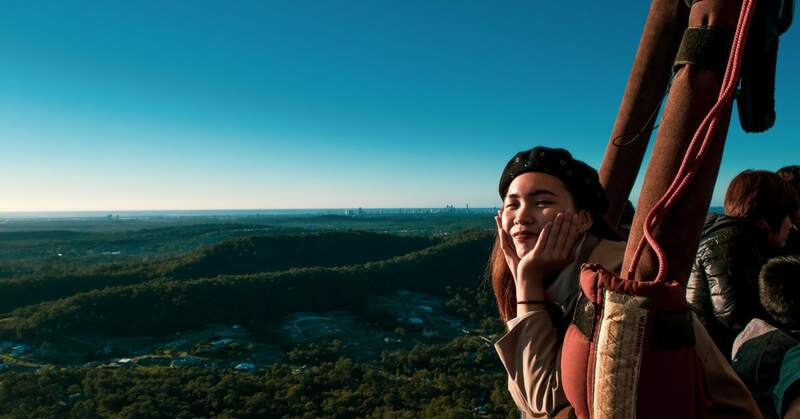 There is so much more to explore in Queensland and four days is simply not enough to fully take in everything that this tropical state has to offer. 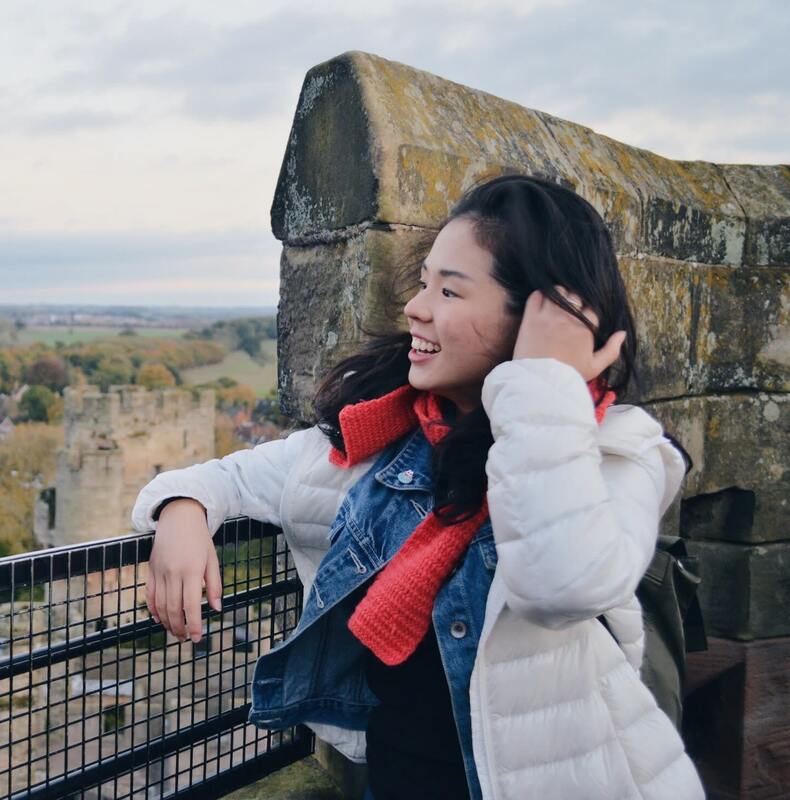 If you’re looking to push your boundaries and step out of your comfort zone, read guide to adrenaline-pumping activities! 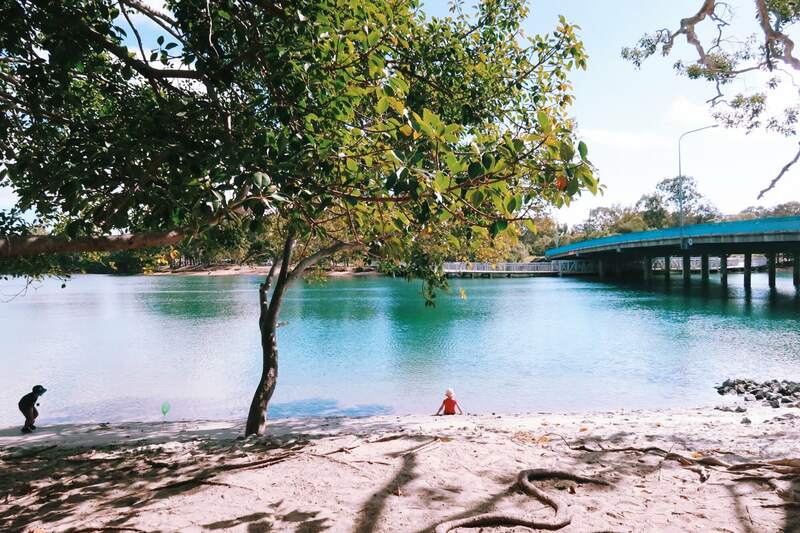 For those who are looking to escape the hustle and bustle of city life, take a look at our guide for a detox holiday in Queensland guaranteed to leave you feeling rejuvenated after the trip! We hope to have inspired some of you to take a road trip of your own with your friends or family in Queensland! 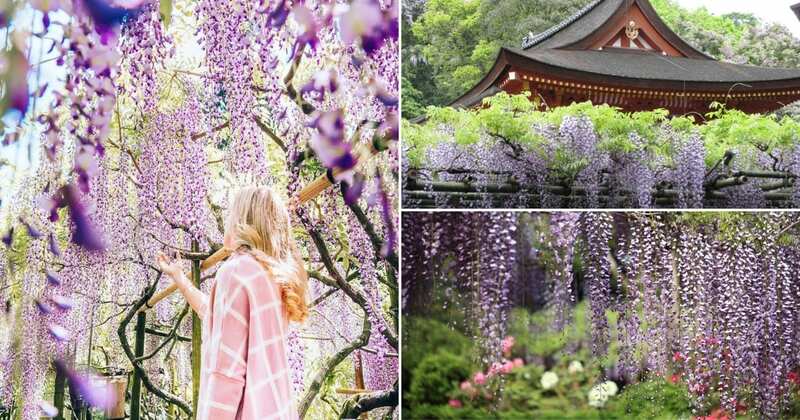 Next post Budget Boutique Hotels From USD 42/night For Your Romantic Taipei Getaway!